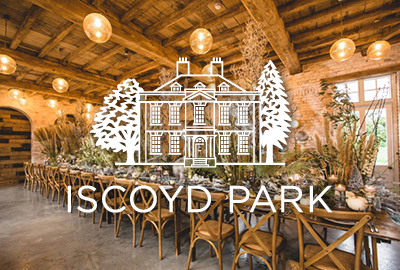 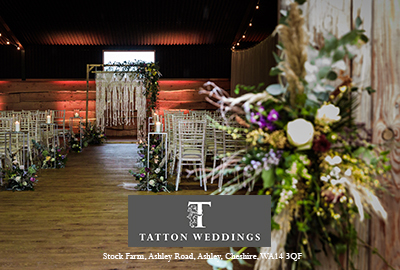 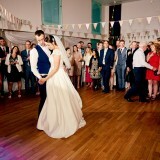 Today’s real wedding couple show how a blank space can be transformed into an attractive setting for a personal big day. 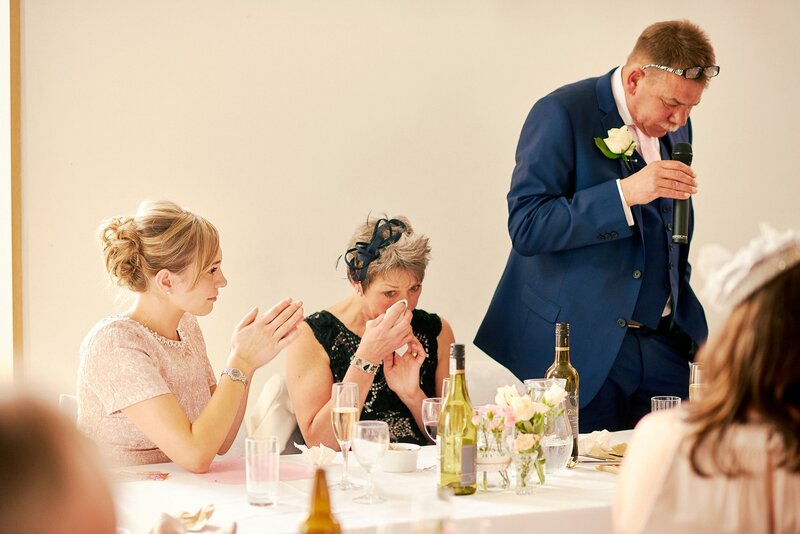 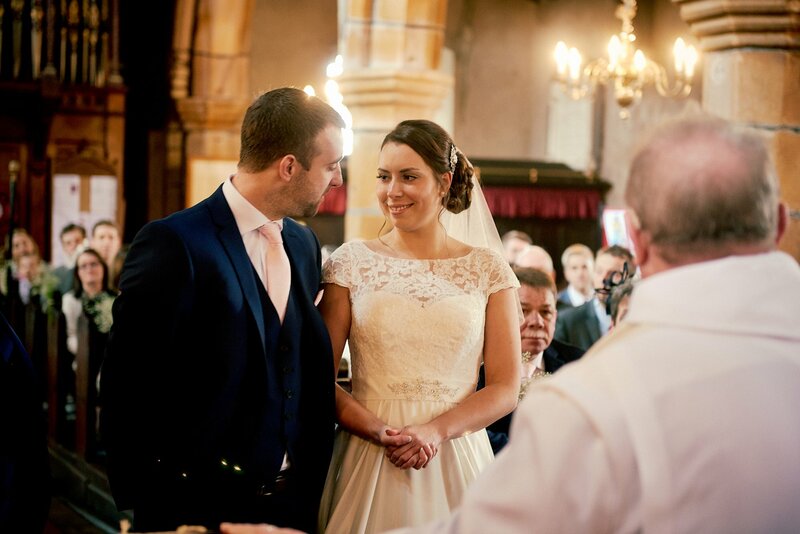 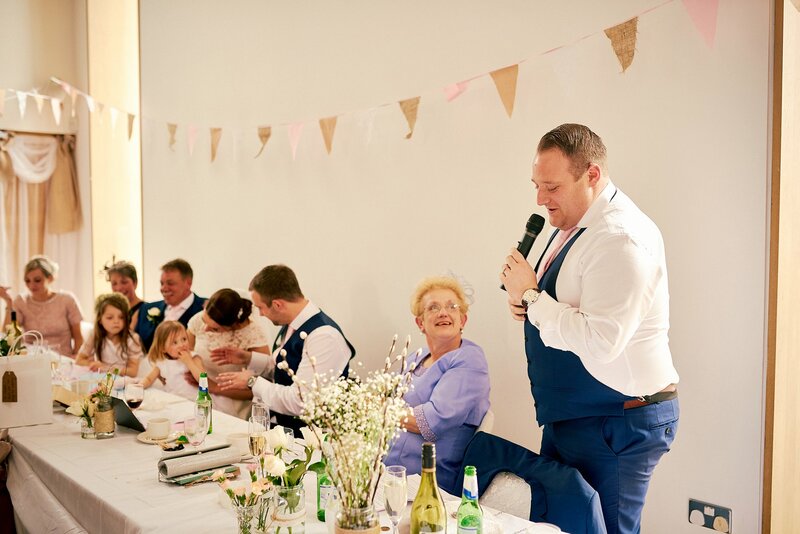 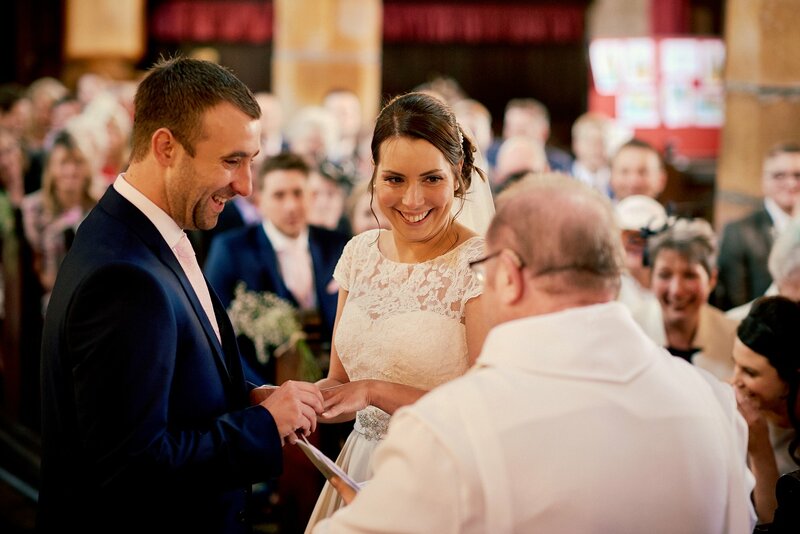 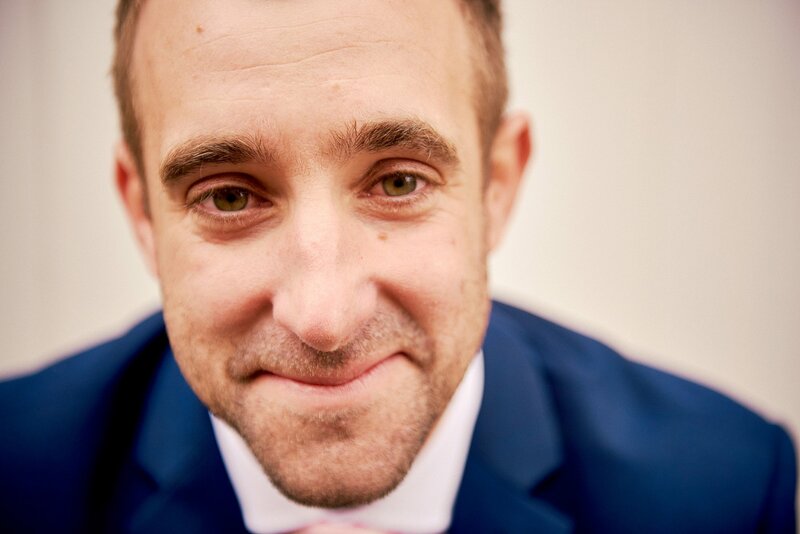 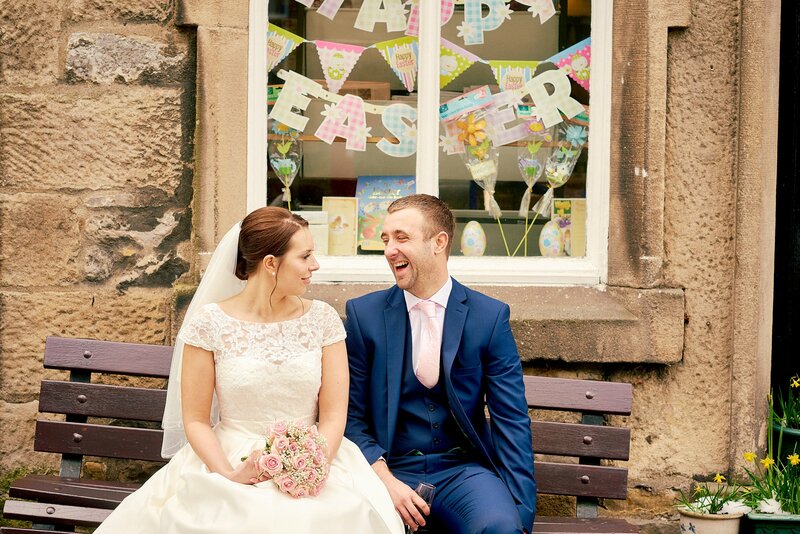 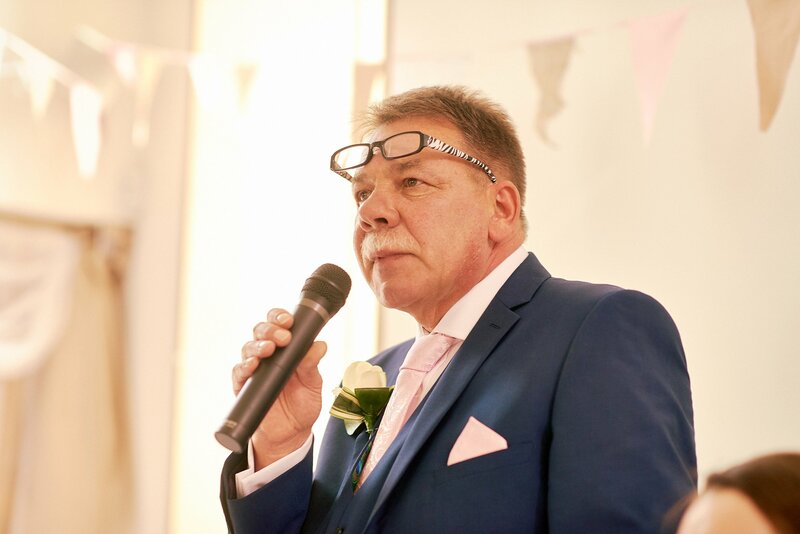 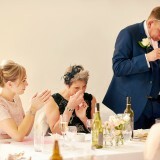 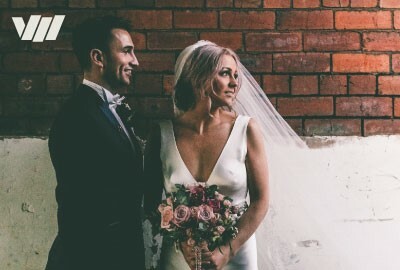 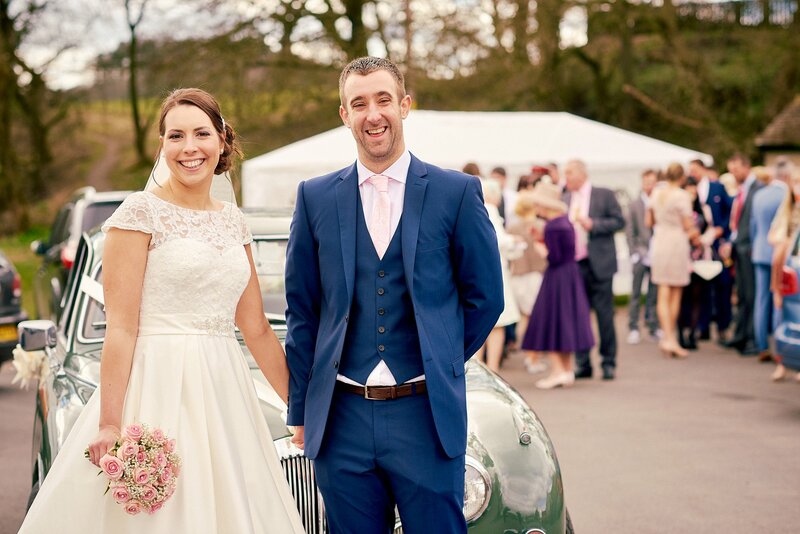 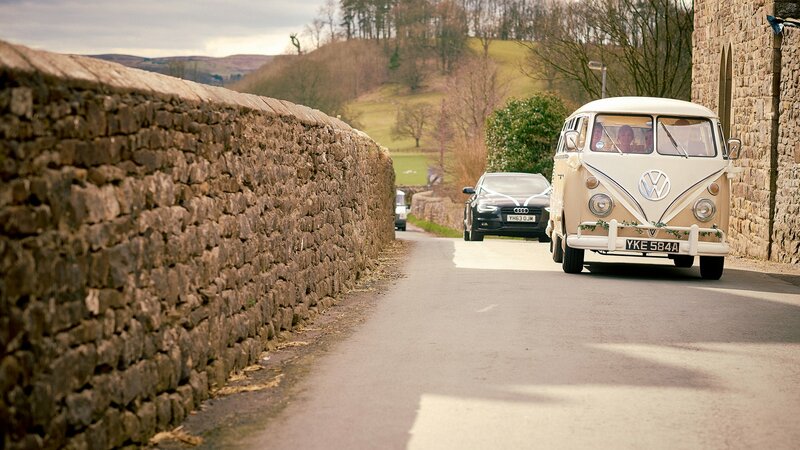 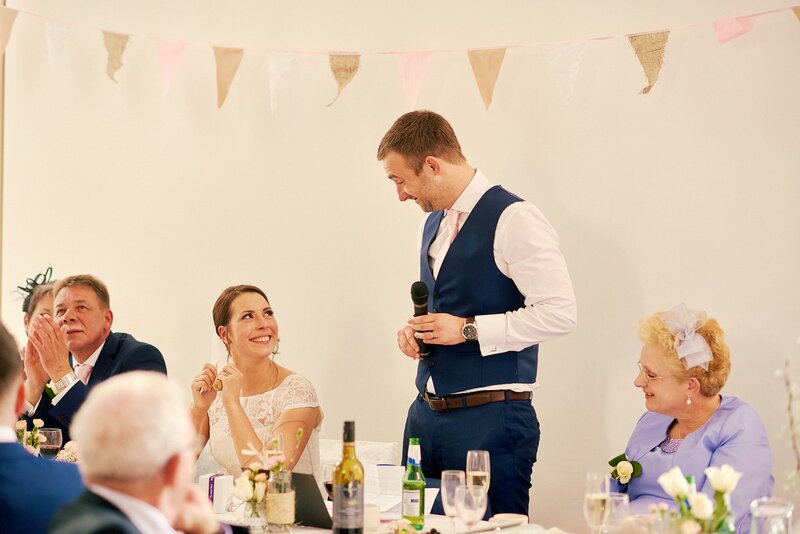 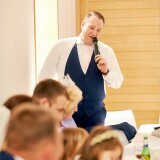 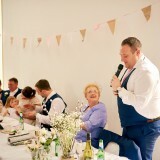 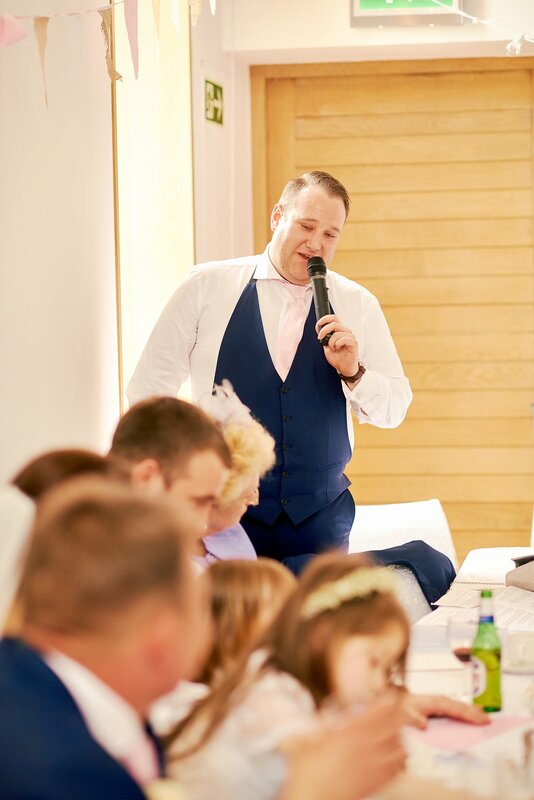 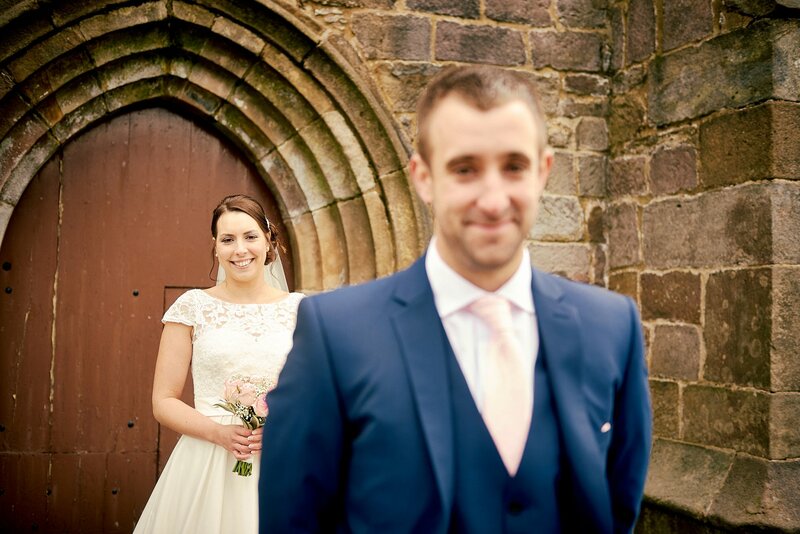 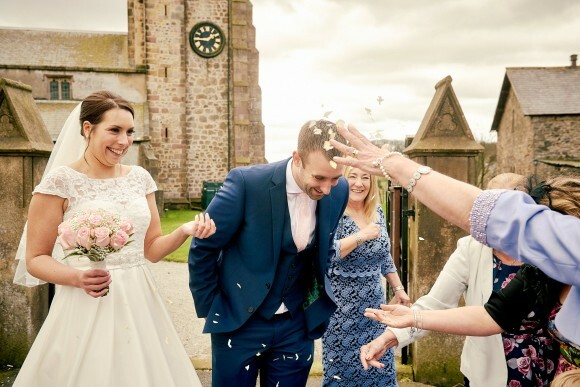 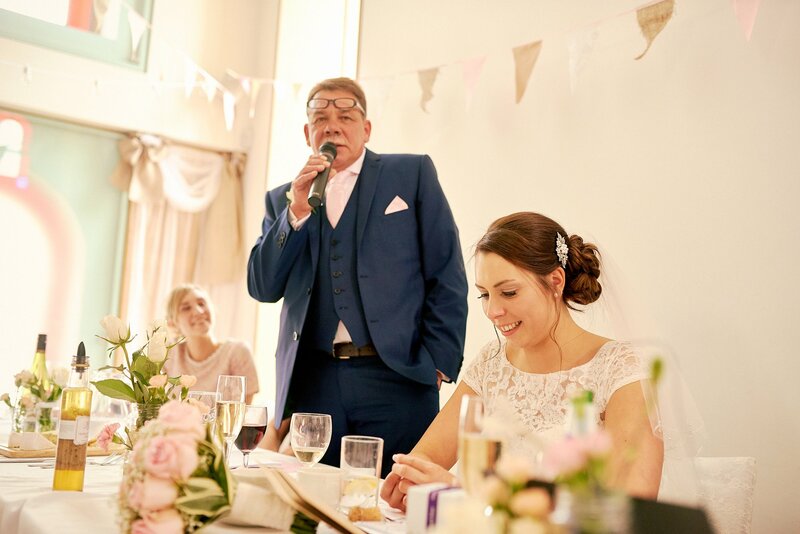 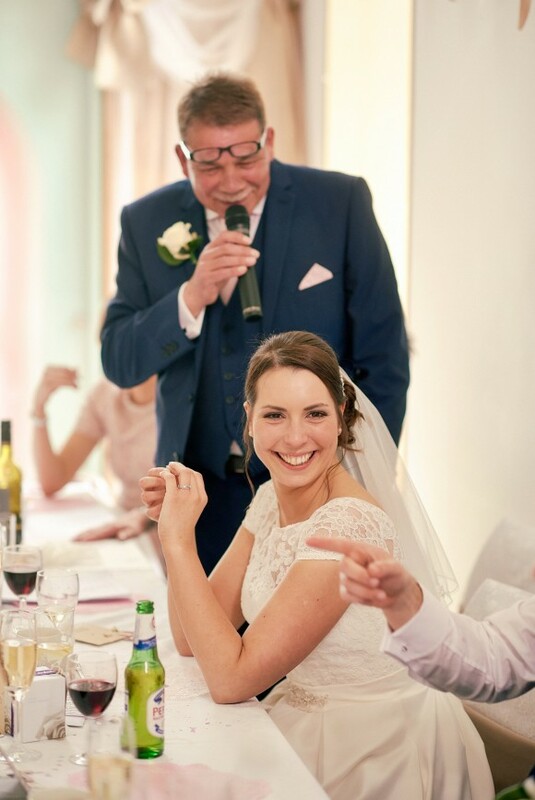 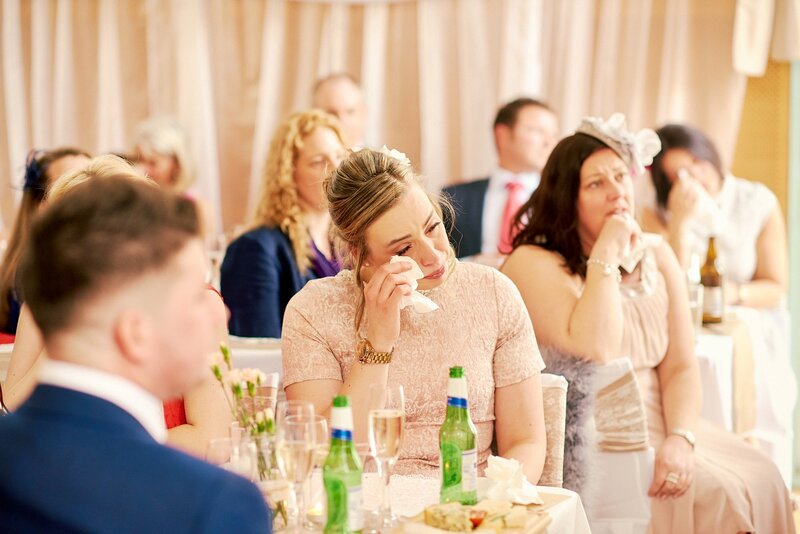 After saying their ‘I dos’ at the local church, Colin, Vicki and their wedding party headed to Slaidburn Village Hall for a fabulous meal, emotional speeches and live entertainment. 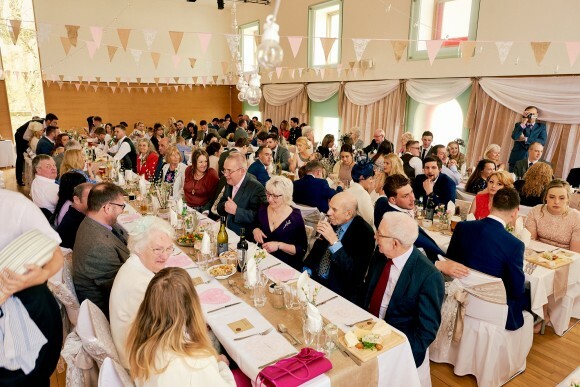 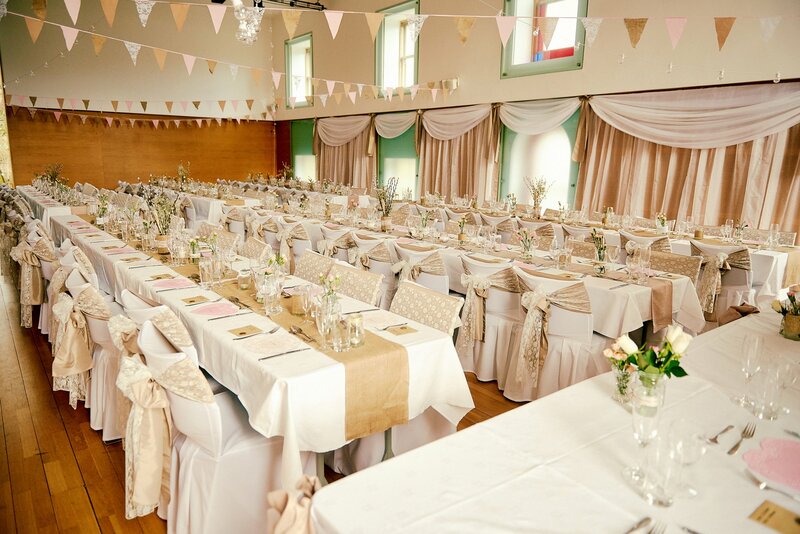 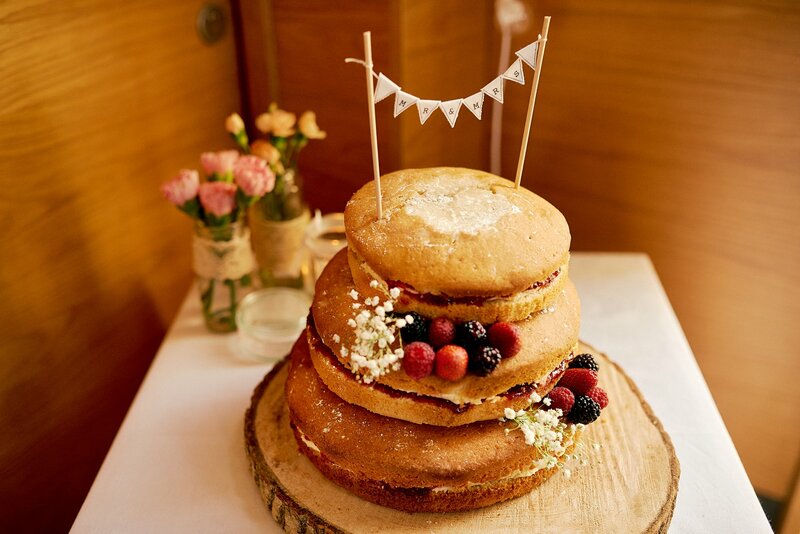 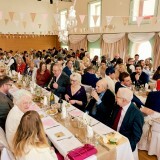 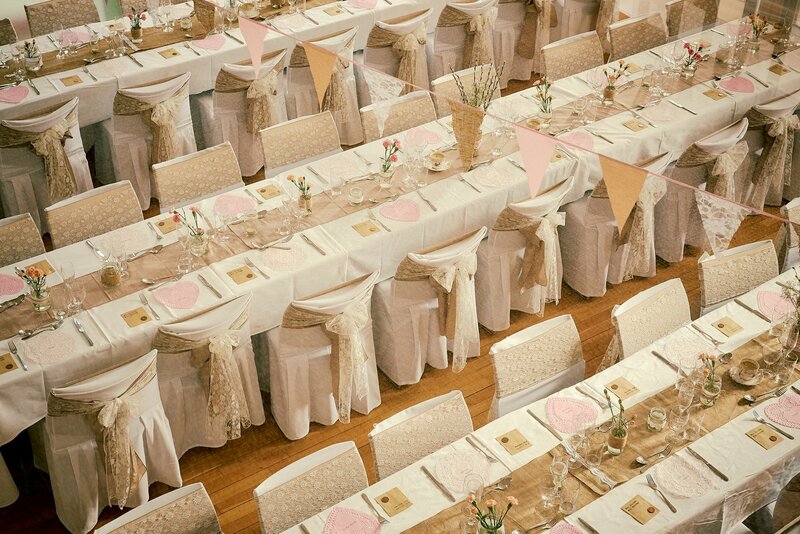 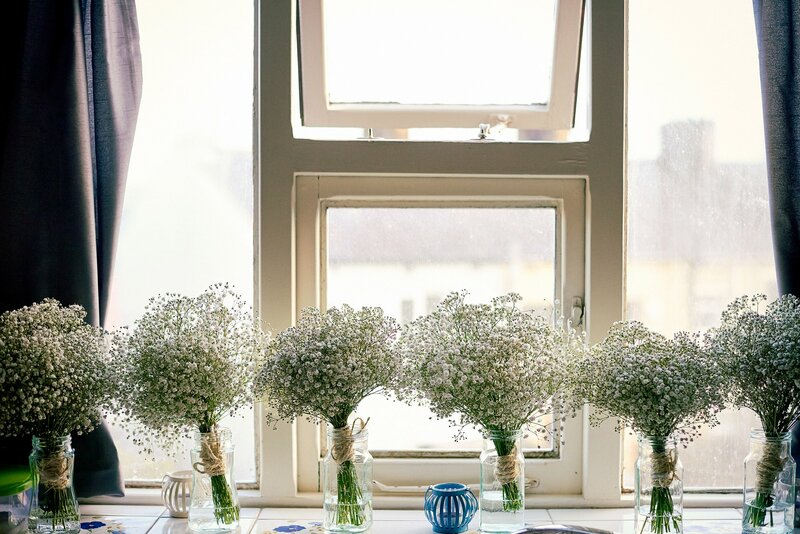 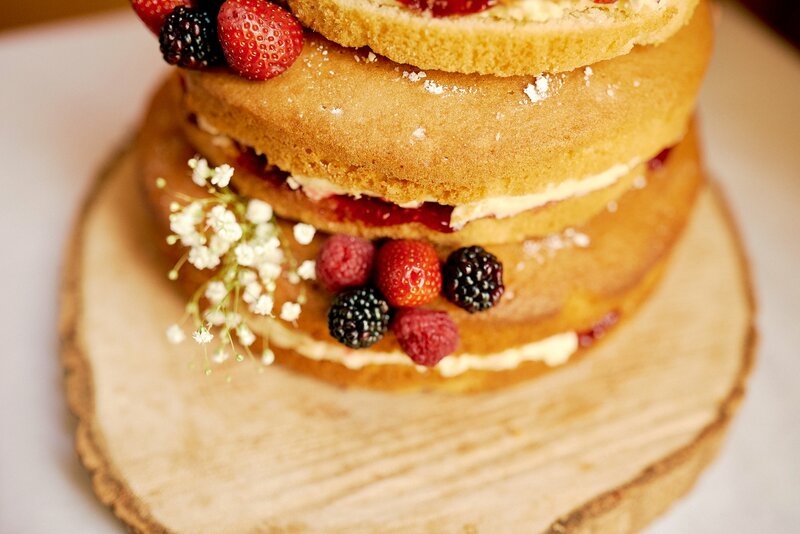 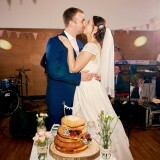 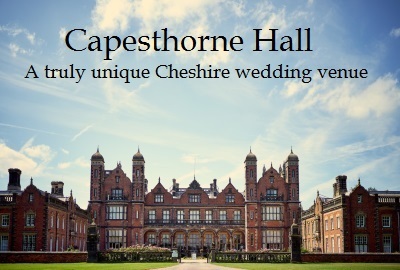 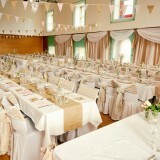 To give it their own touch, the hall had been decorated with pretty bunting, table linen and chair covers, which complemented other village fete style touches, including their home made naked wedding cake, VW camper van and dainty floral decorations in lace bound jam jars. 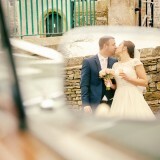 vicki says: We got engaged on the beach in Cornwall in April 2013 and set the wedding date for two years later on 4th April 2015, giving us time for all the planning. 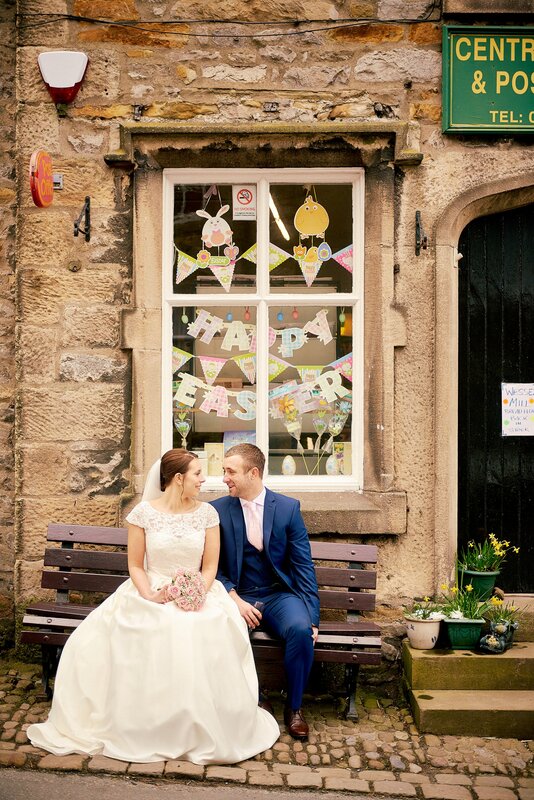 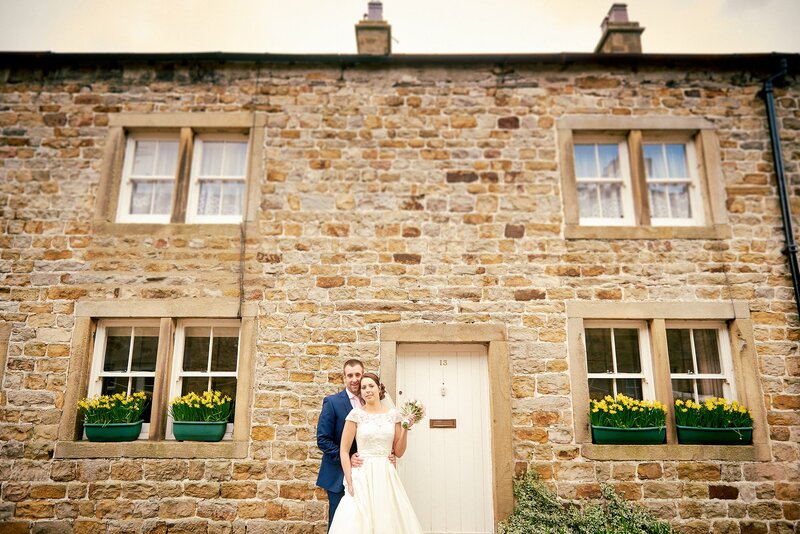 Our ceremony was at St Andrew’s Church, Slaidburn, followed by a reception at Slaidburn Village Hall. 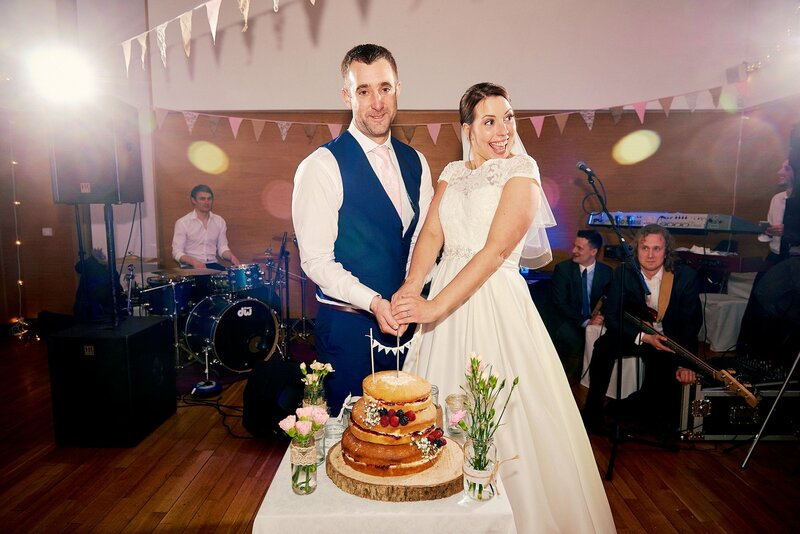 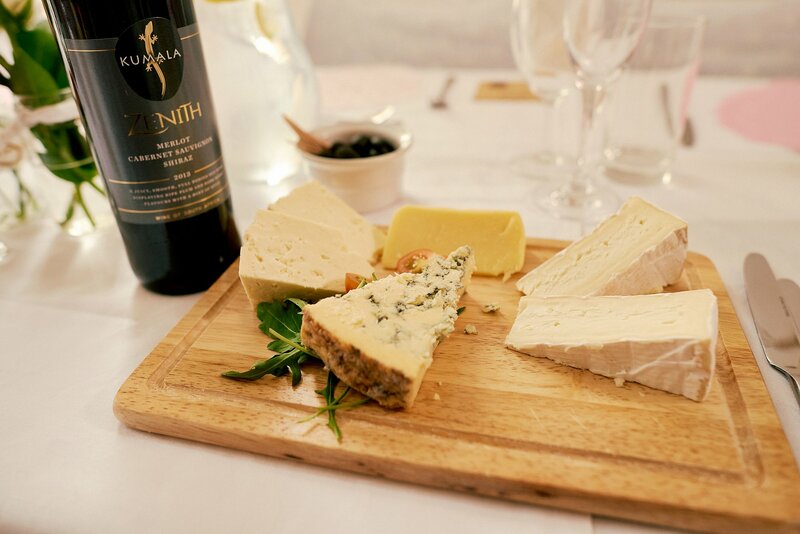 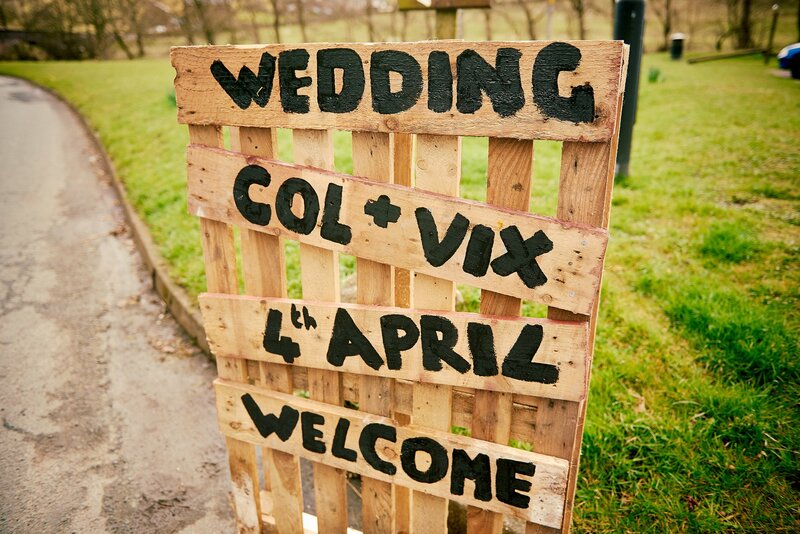 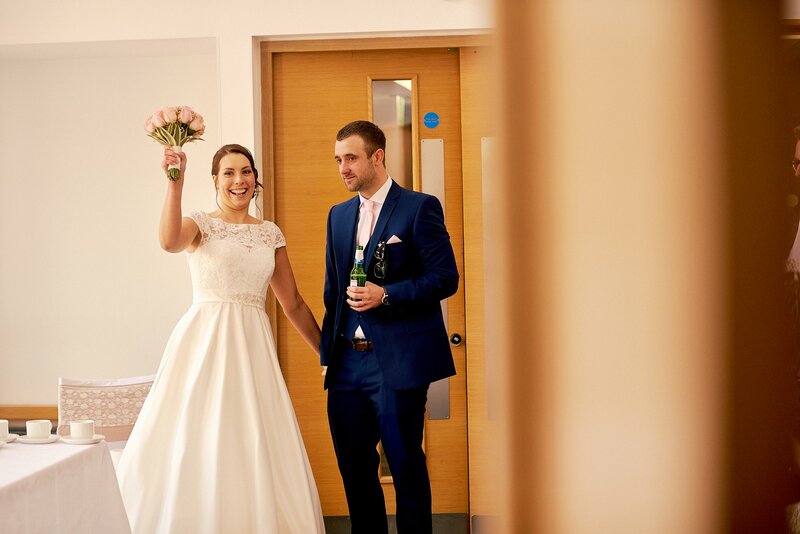 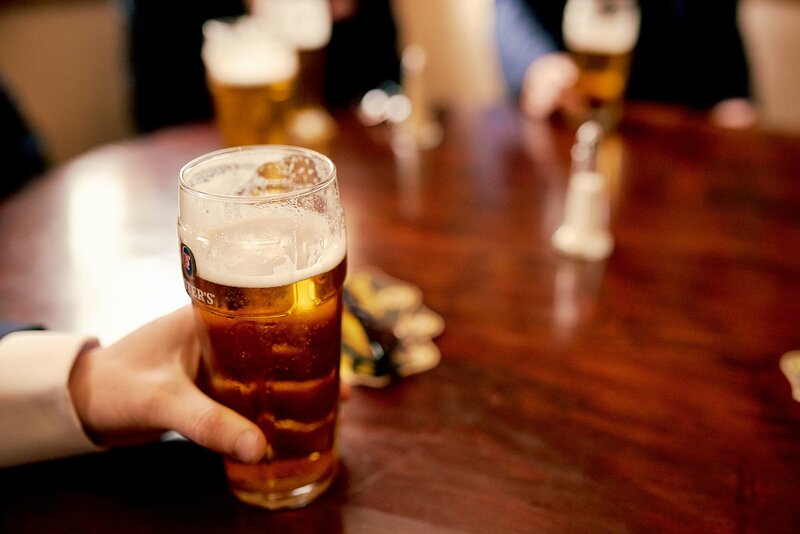 We knew that we wanted a village hall wedding as it would allow us to do whatever we wanted – choose our own food, drinks etc. 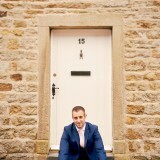 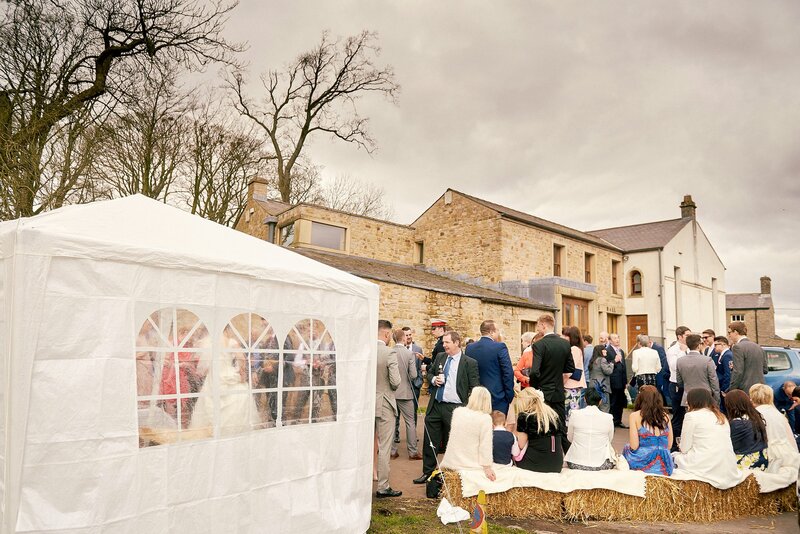 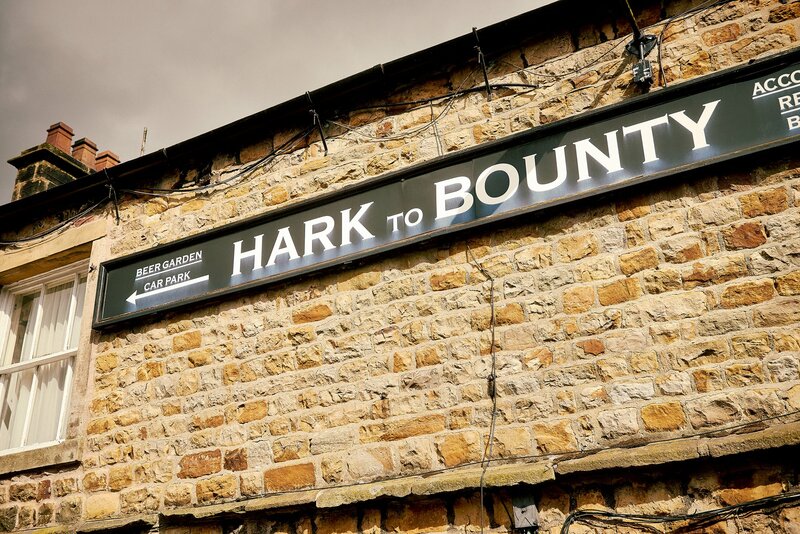 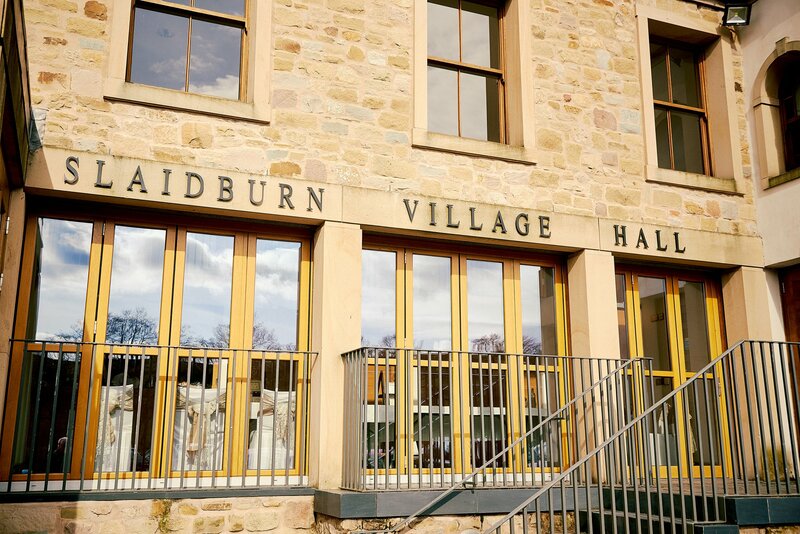 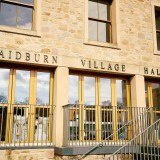 When we saw Slaidburn Village Hall we knew it was perfect for us – it was modern but still a blank canvas. 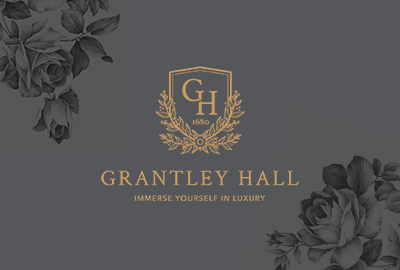 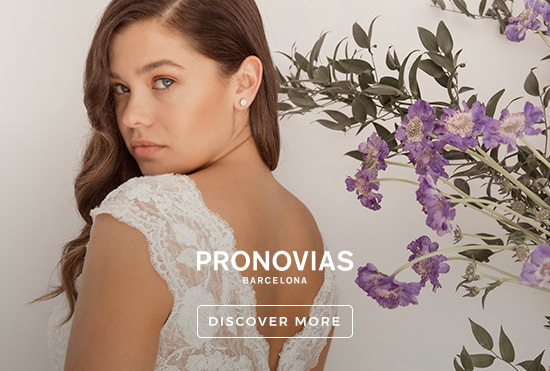 We wanted things to be quite neutral and didn’t want too much of a theme because then we could just add/change things when we saw something that we liked without being too restricted. 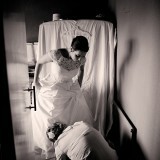 Then towards the end, we just tied everything together. 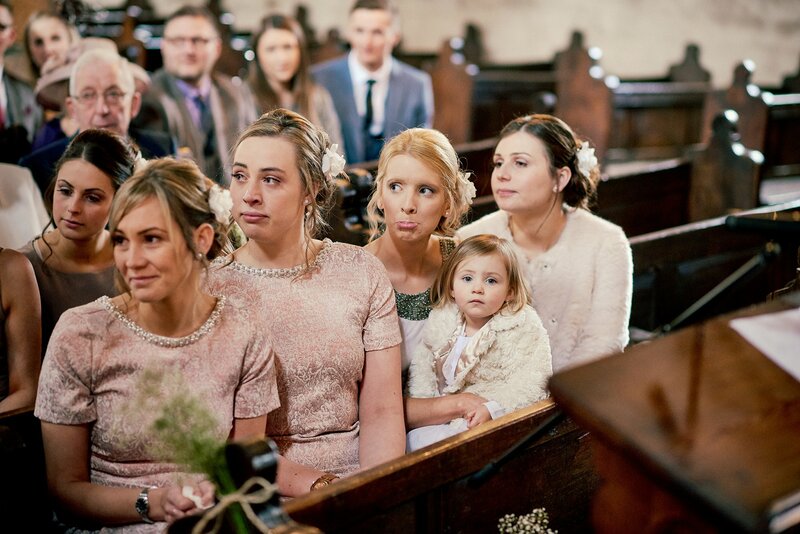 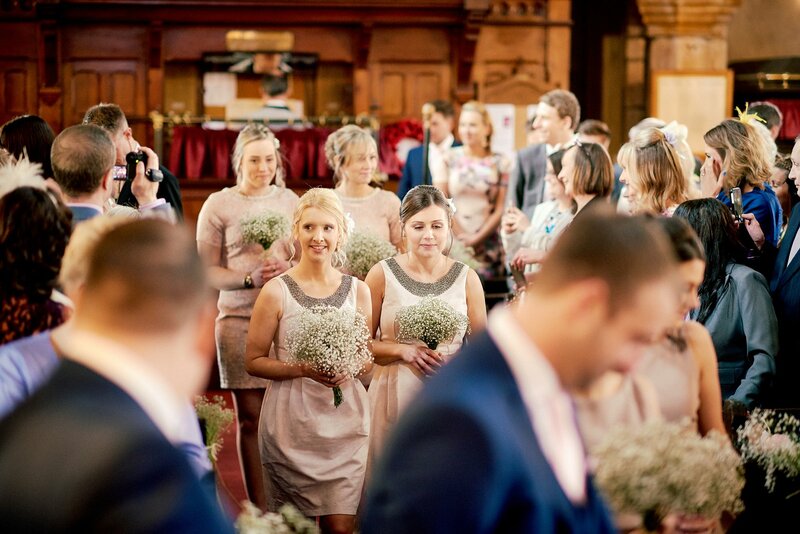 We chose a neutral colour scheme but then added in pink as one of the main colours after choosing my sisters’ bridesmaid dresses, which were pale pink. 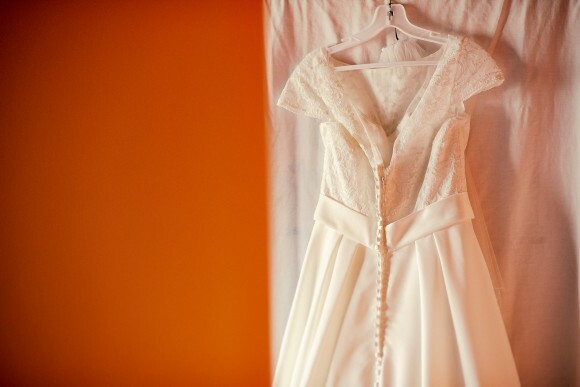 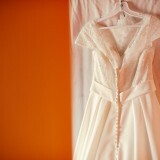 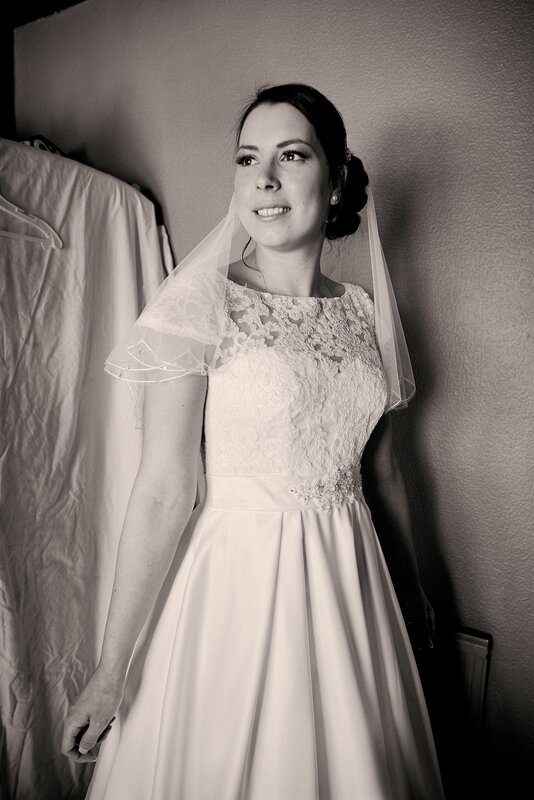 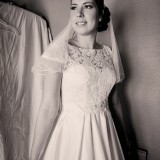 My dress was lace and satin design, with cap sleeves. 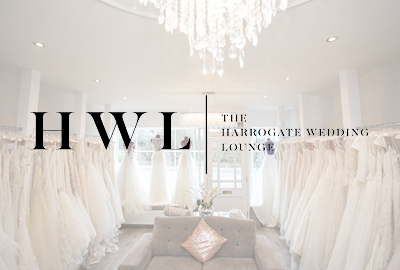 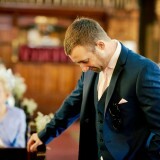 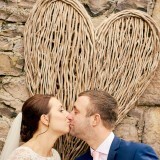 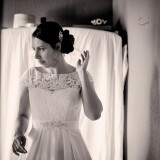 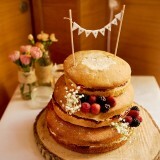 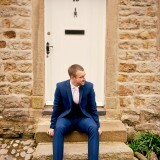 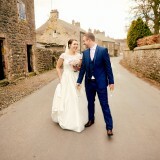 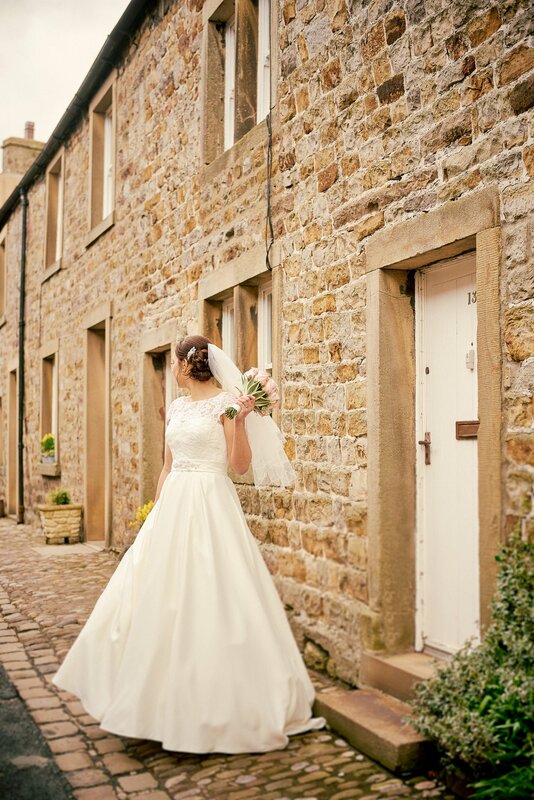 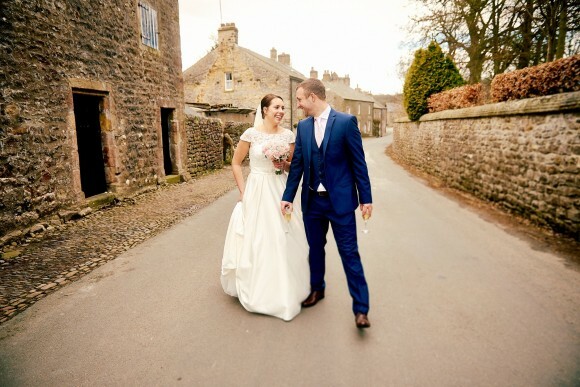 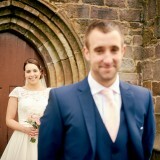 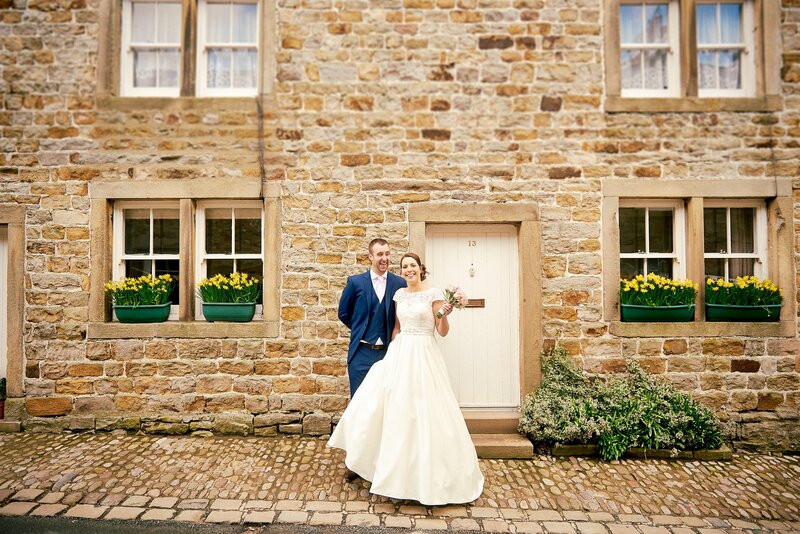 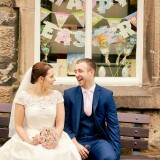 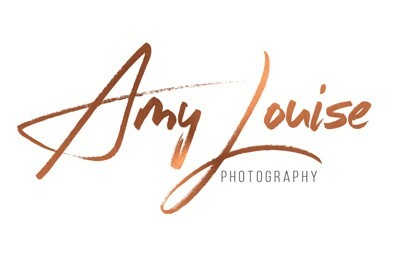 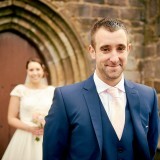 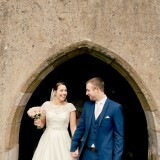 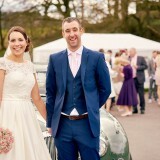 I got it from Amelia Bridal in Clitheroe and they were amazing! 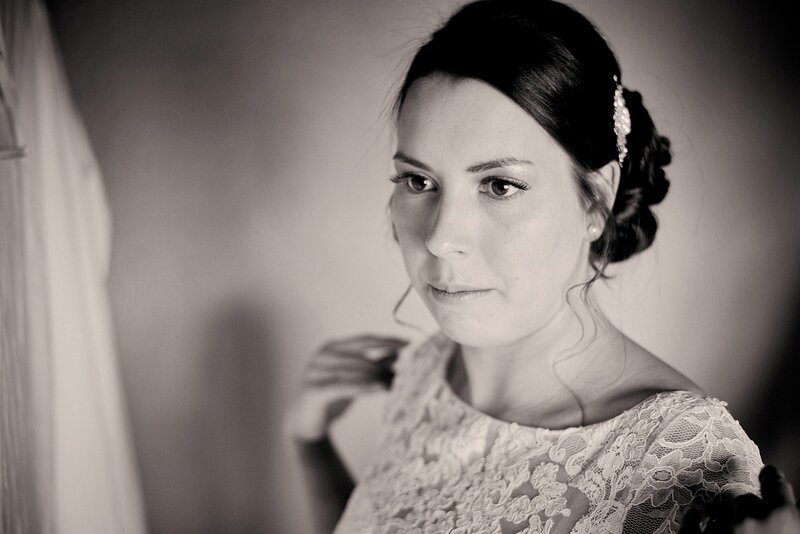 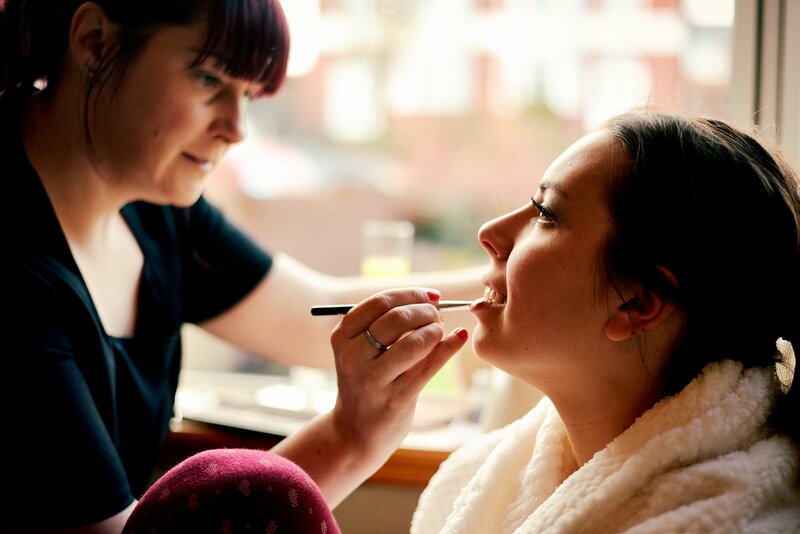 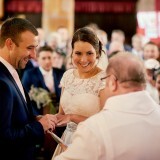 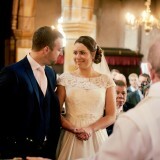 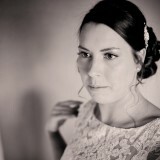 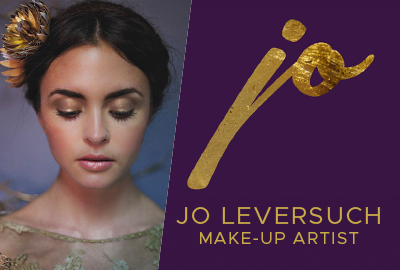 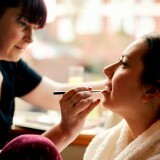 My wedding makeup was done by Joanne at Hidden Beauty, Great Harwood. 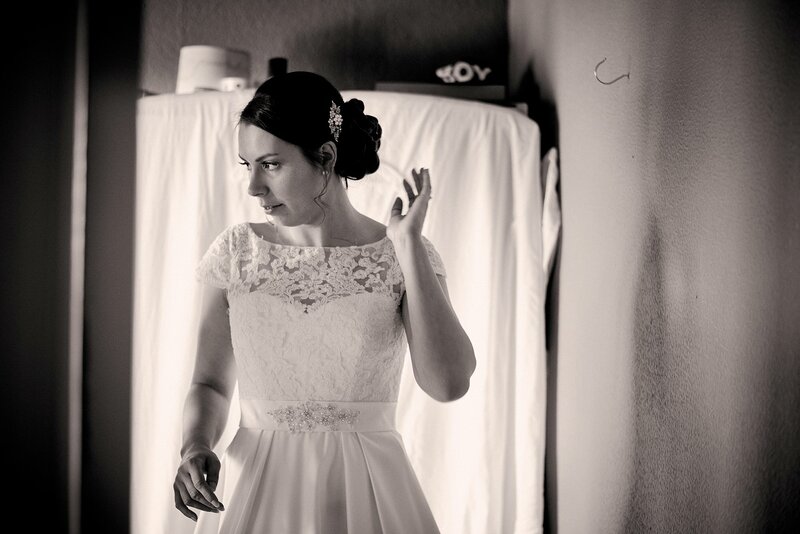 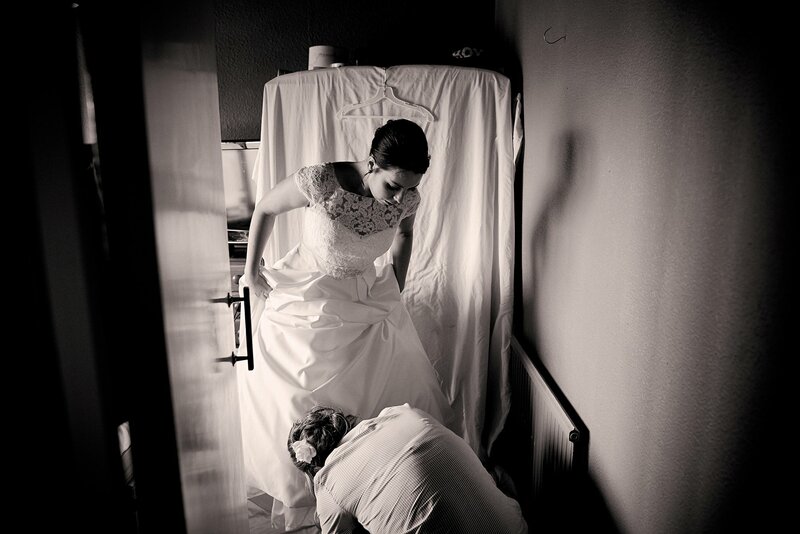 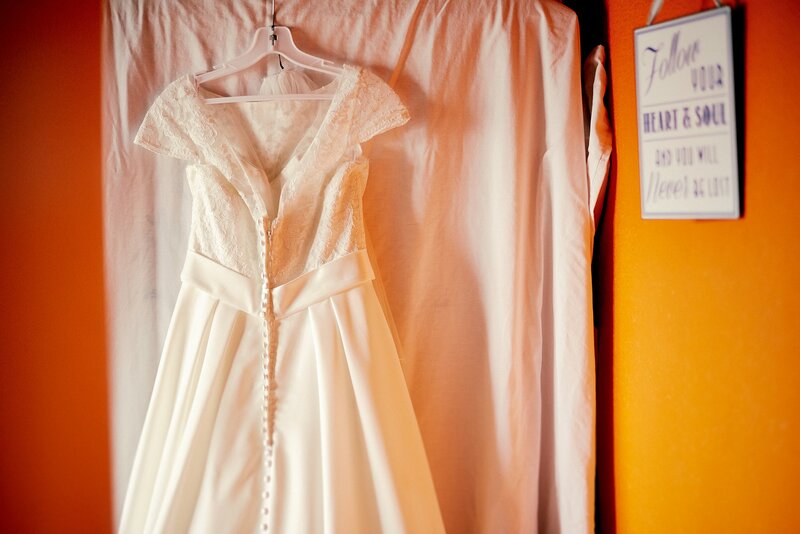 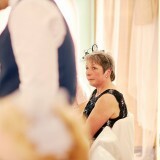 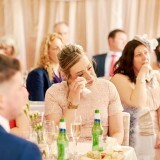 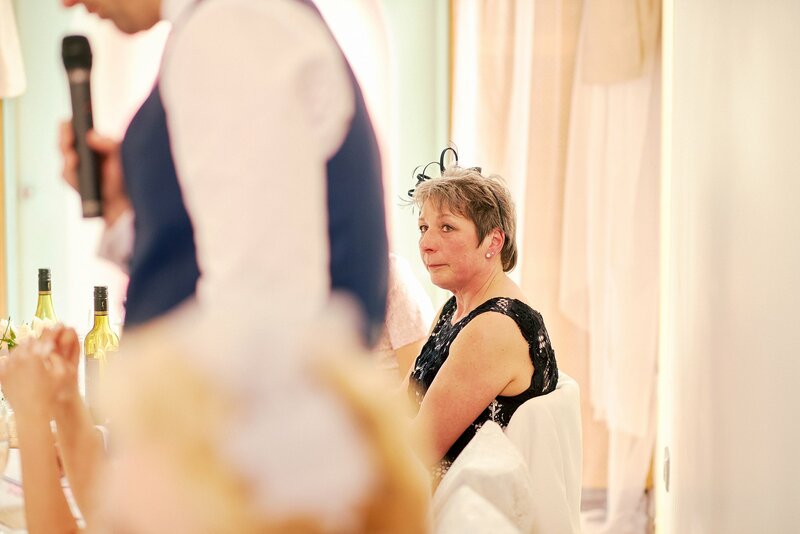 Joanne, was fantastic and made sure that everything was perfect. 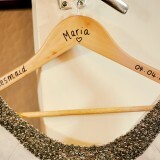 My bridesmaids wore different dresses in pairs; two sets were from Coast and one set was from Monsoon. 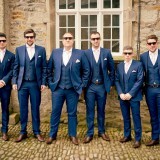 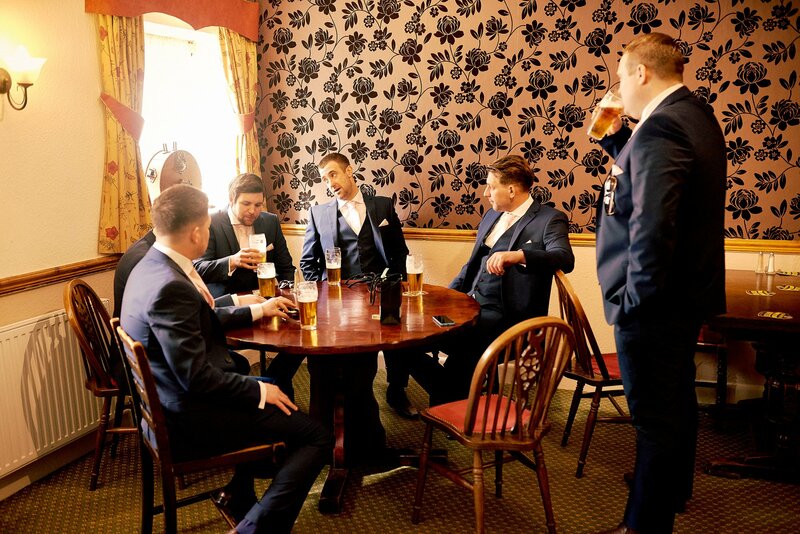 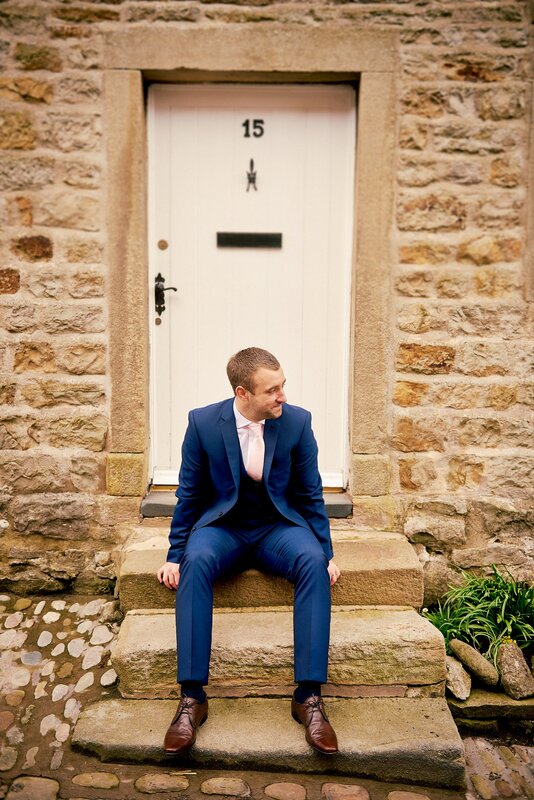 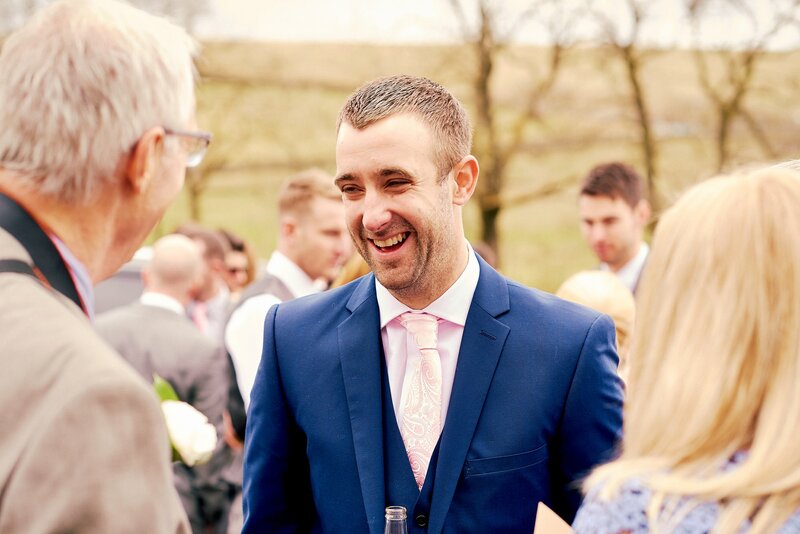 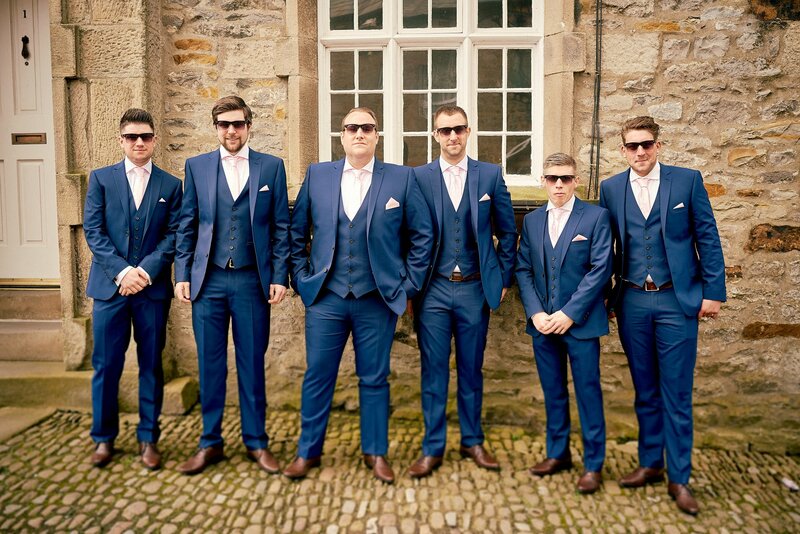 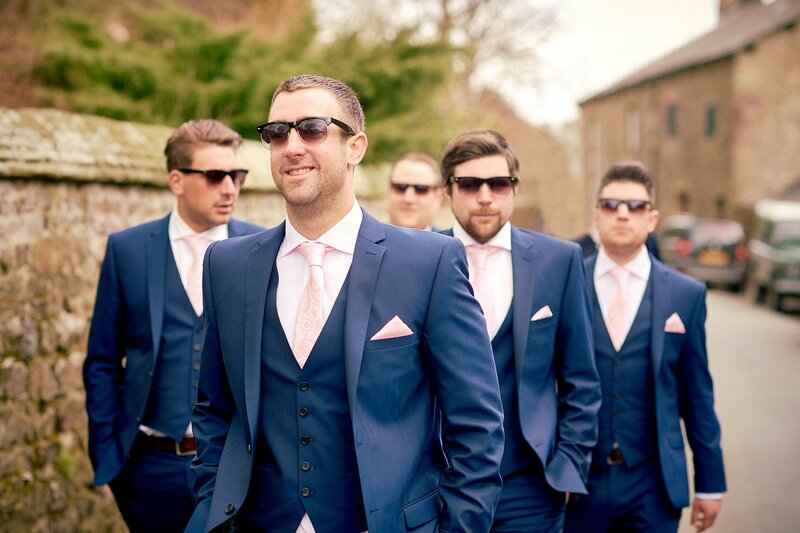 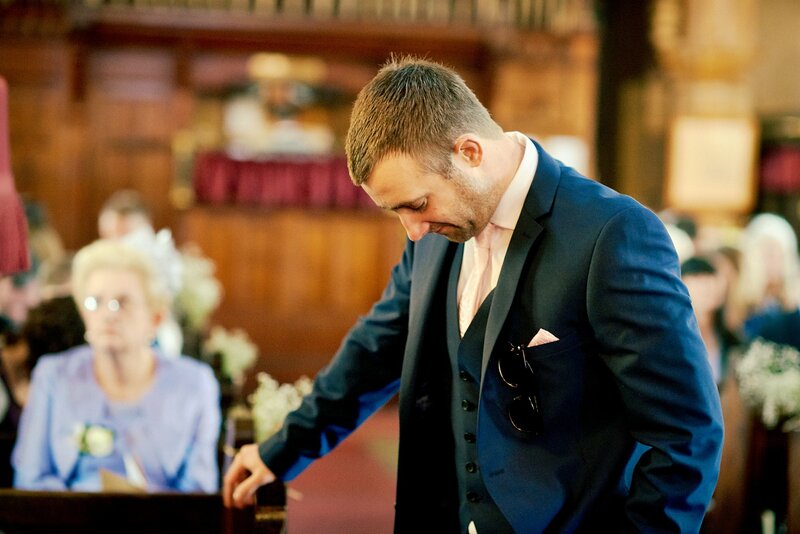 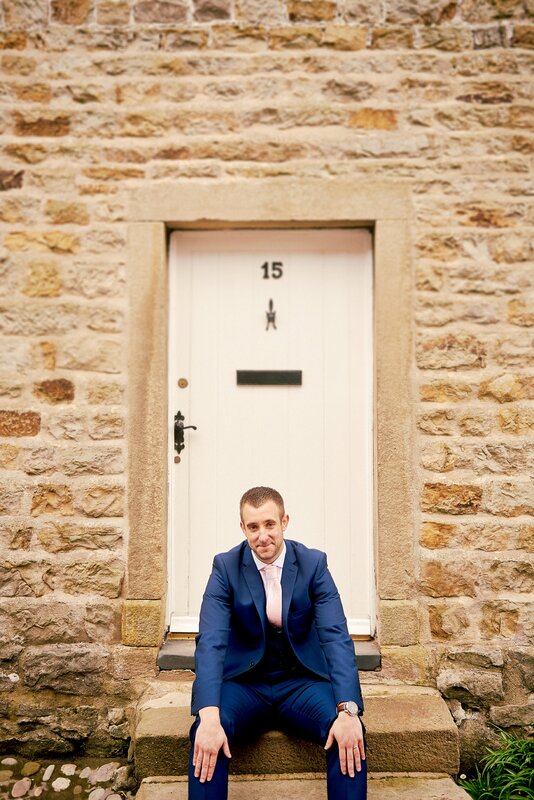 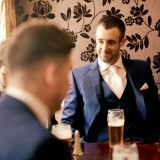 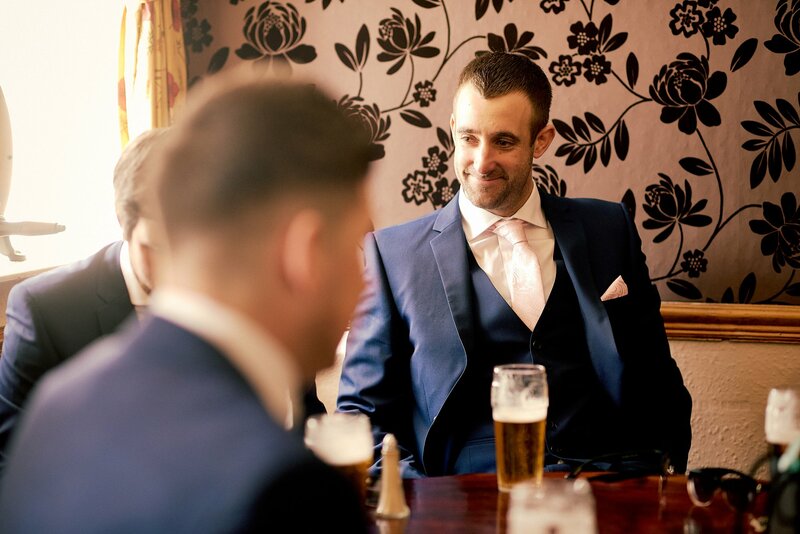 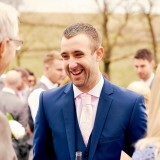 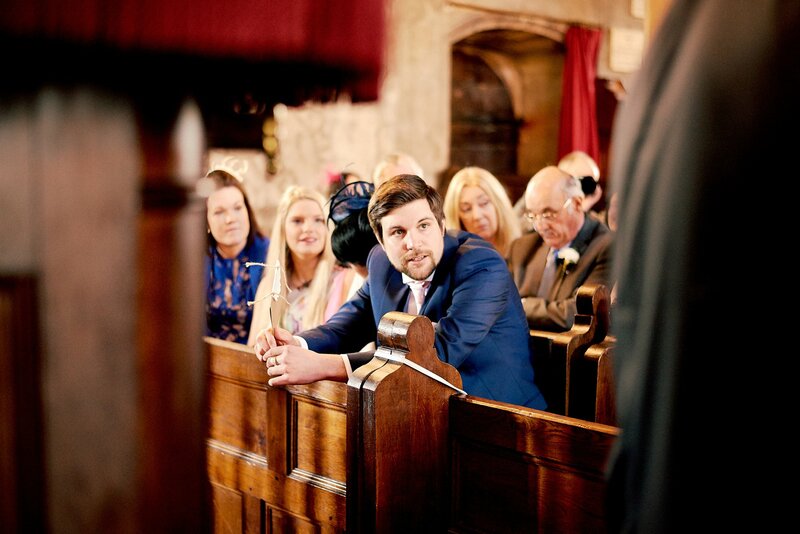 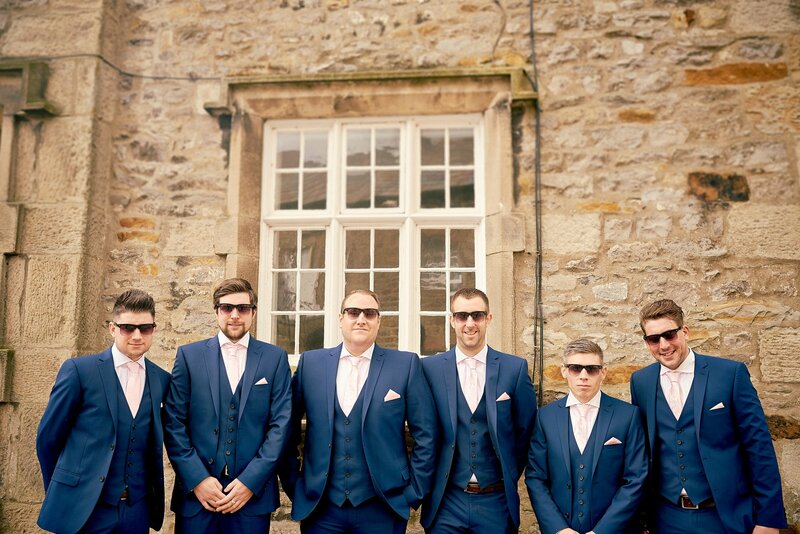 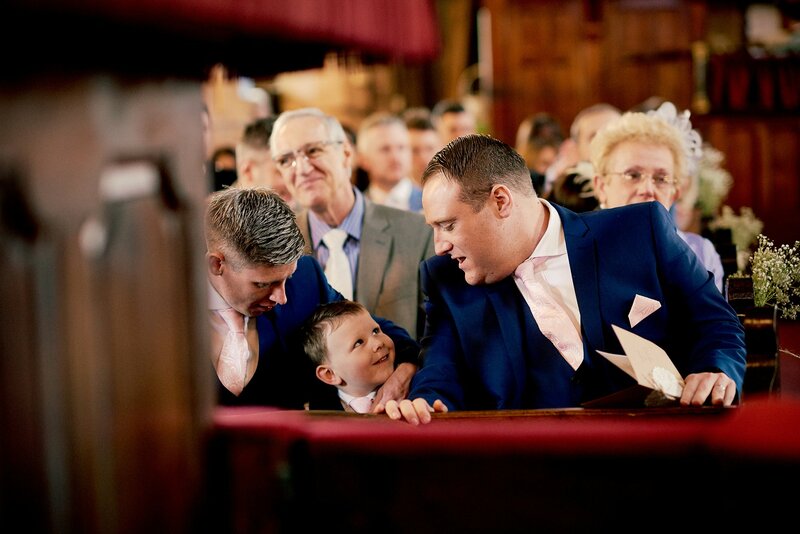 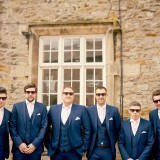 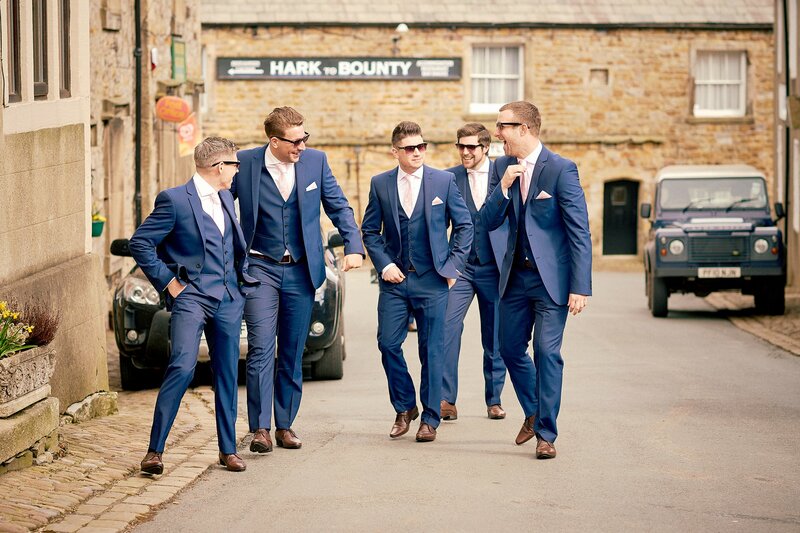 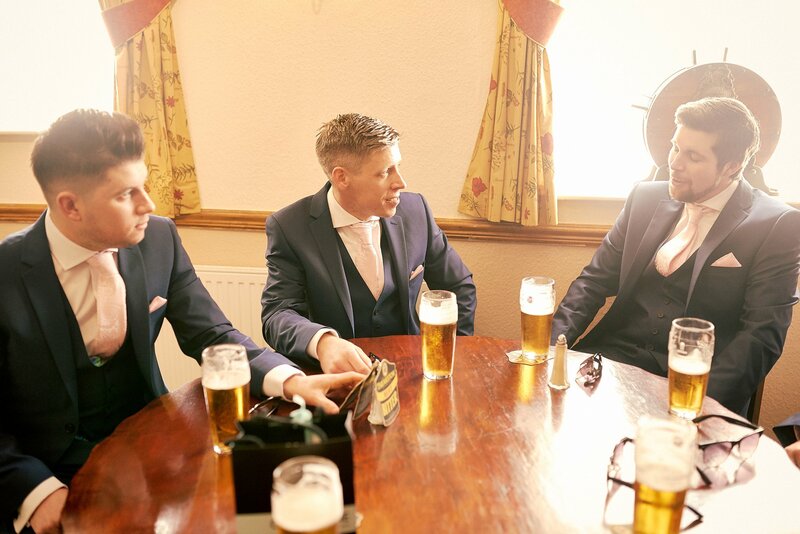 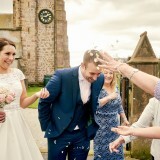 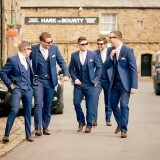 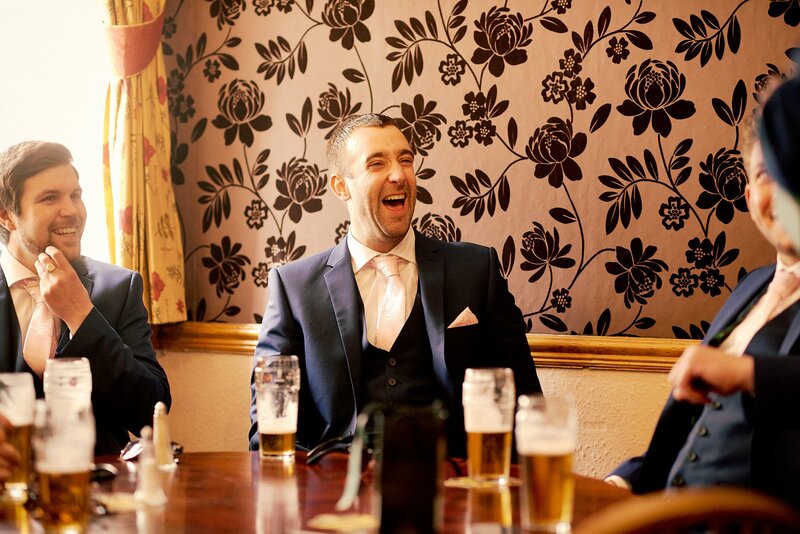 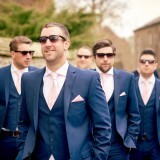 The groomsmen meanwhile hired blue suits from Moss Bros.
We used lots of great suppliers to help pull the wedding together including Classique Venue Dressing in Chorley, to dress the venue, and caterers from Country Kitchen Cafe, in Waddington, to provide the food. 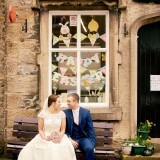 Tim, the café owner was fabulous and helped with every detail. 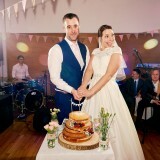 My mum made our wedding cake which was a delicious naked sponge design. 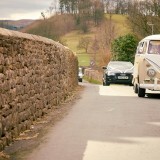 For our transport on the day we used Coach House Limousines in Blackburn, who provided a gorgeous VW camper van for my bridesmaids. 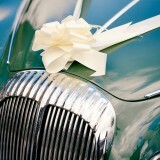 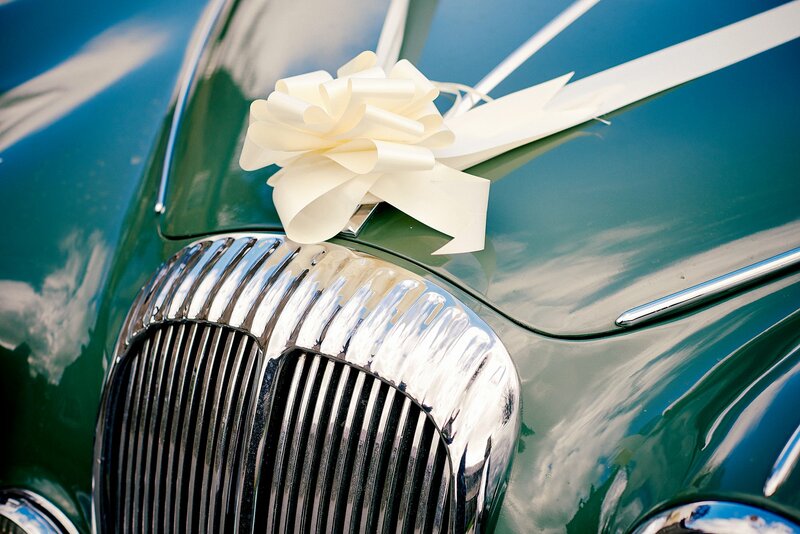 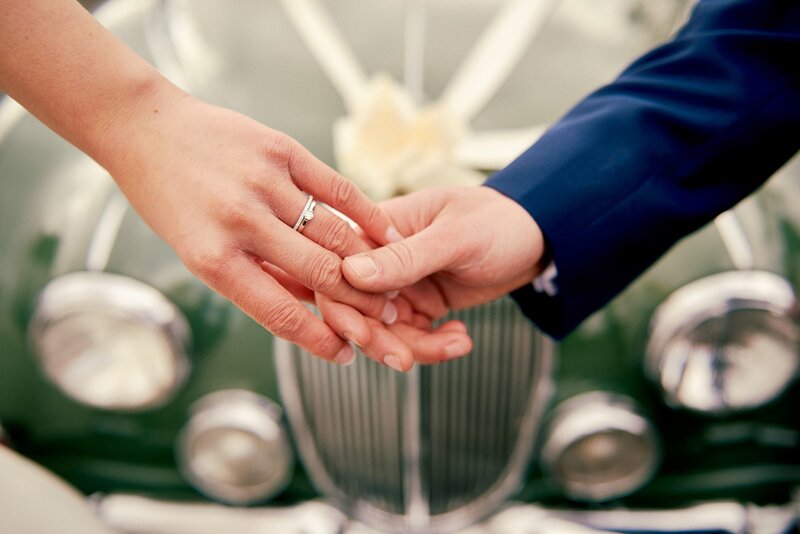 We also hired a lovely Daimler from McGowans Classic Car Hire in Bamber Bridge, Preston. 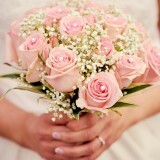 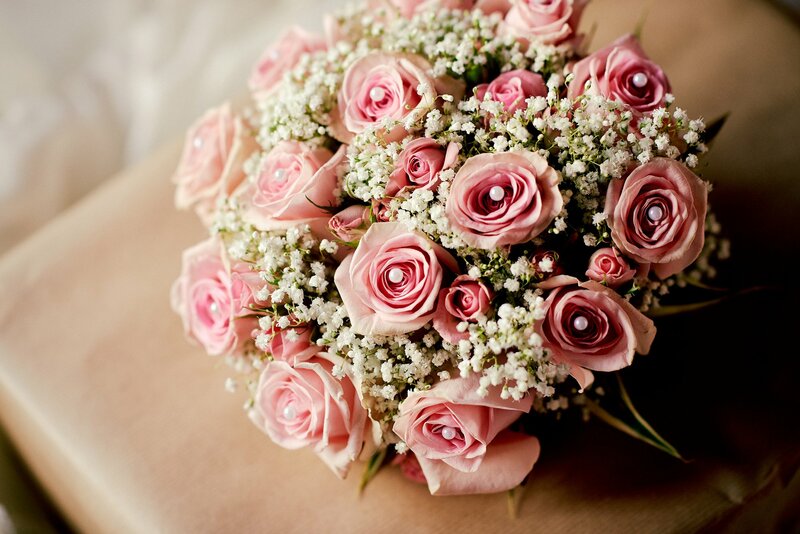 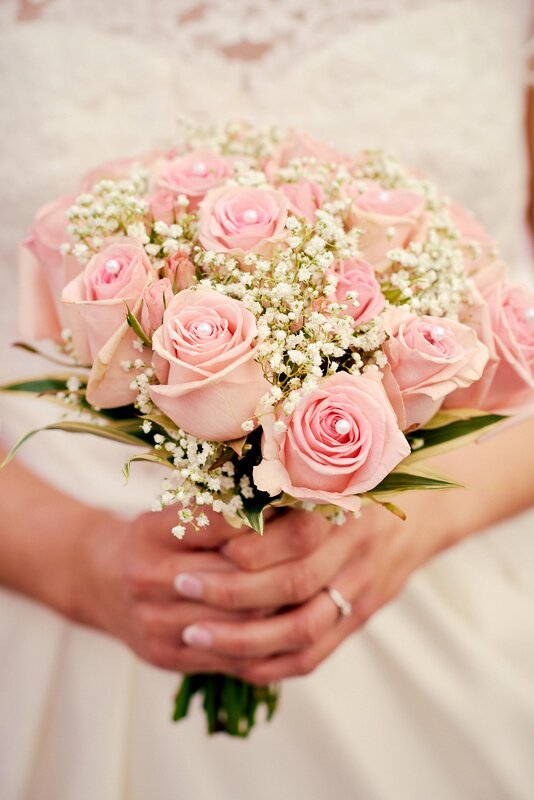 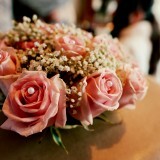 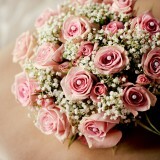 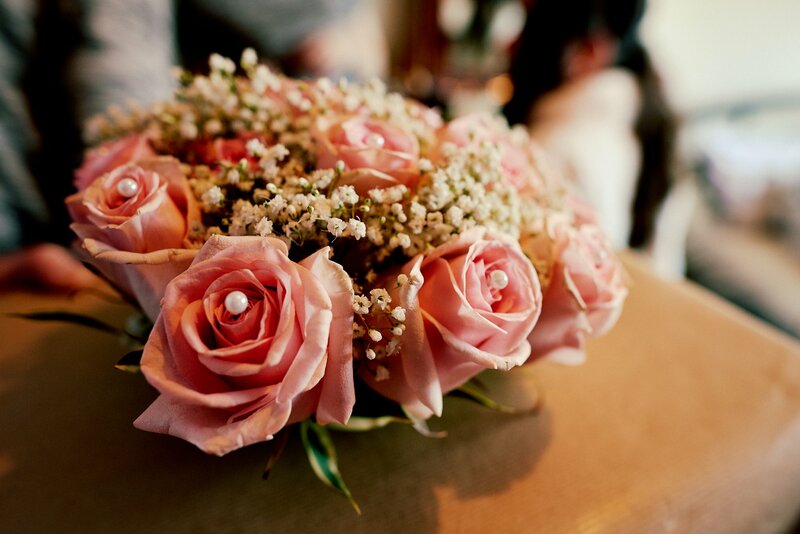 My bouquet was a lovely mix of roses and gypsophila, put together by Le Rainflorist in Blackburn. 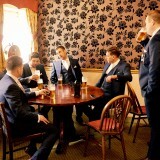 To keep guests entertained in the evening we hired a band calledThe Beat Collective. 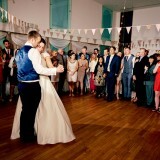 They were absolutely amazing and the dance floor was packed all night! 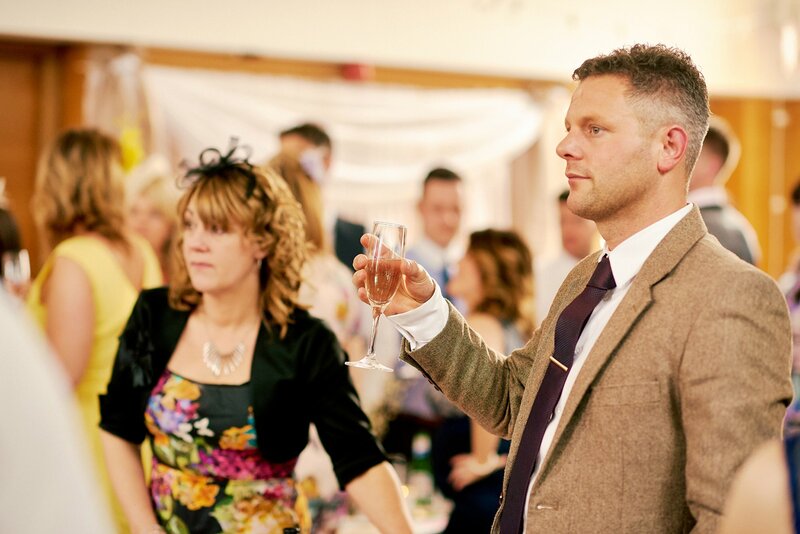 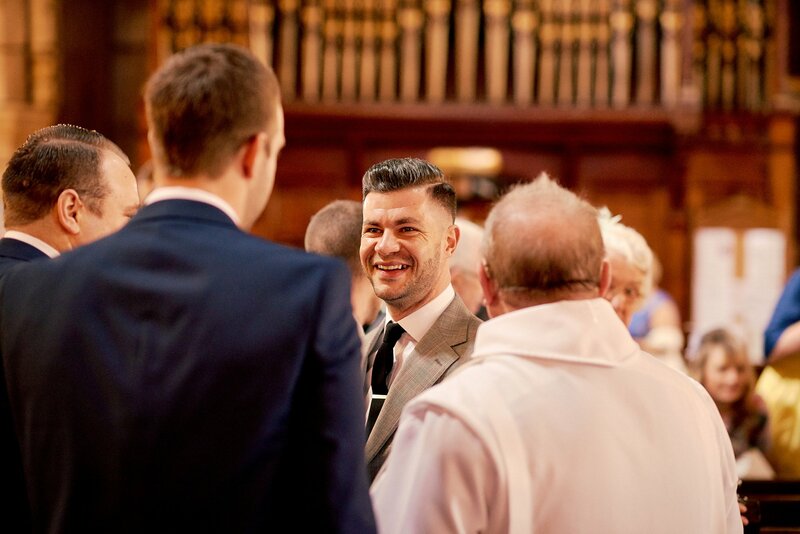 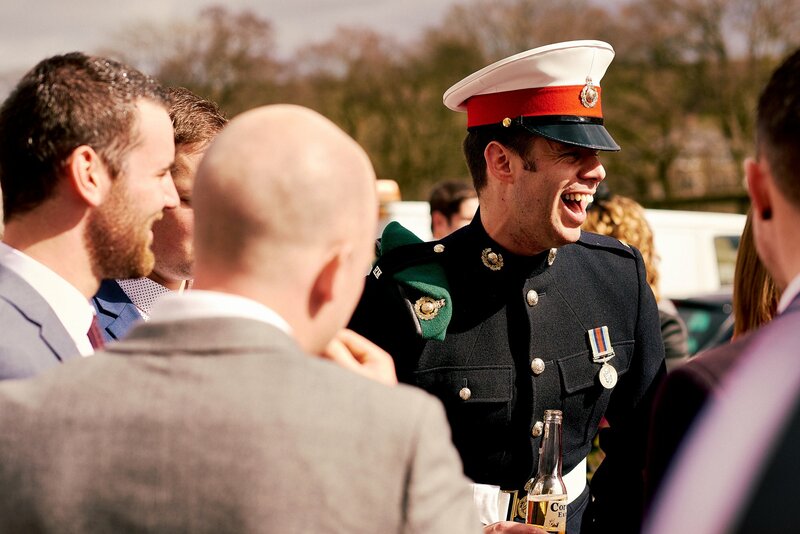 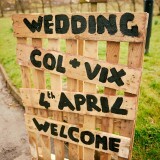 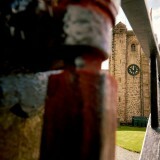 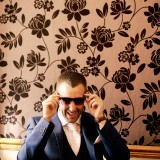 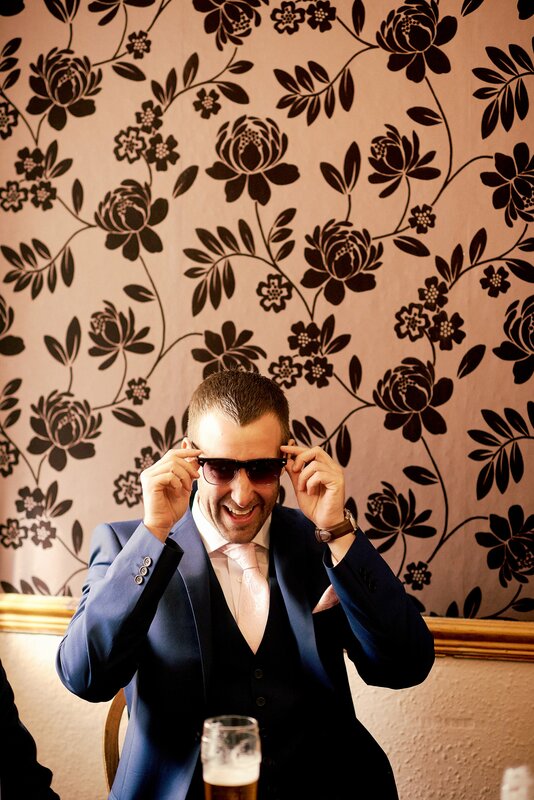 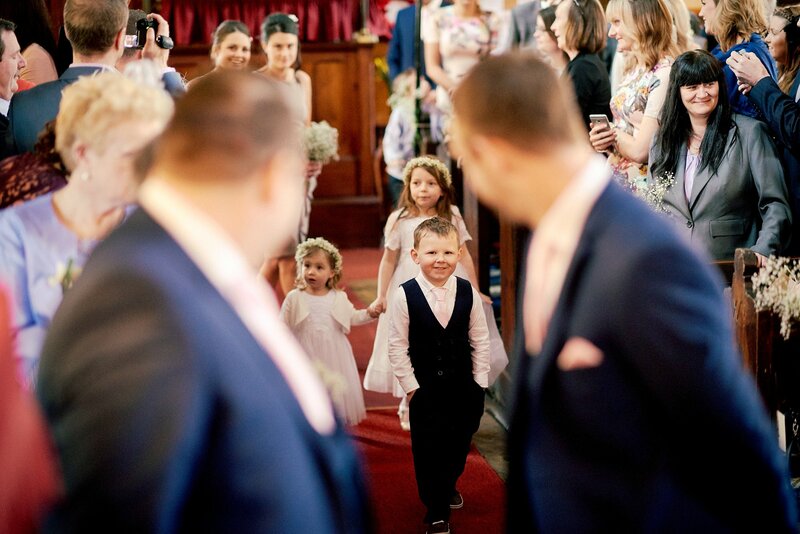 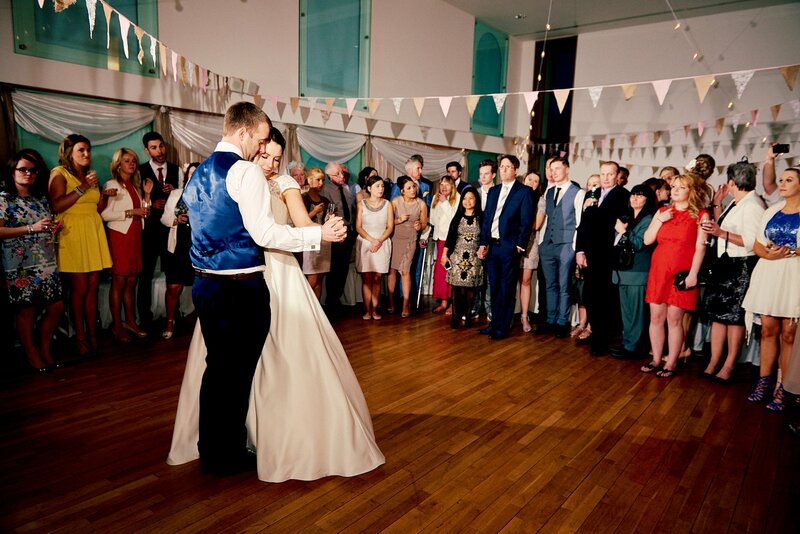 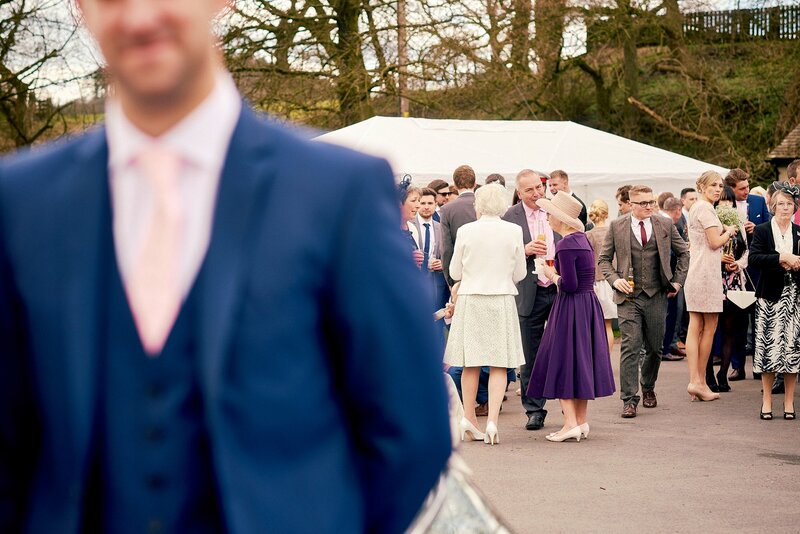 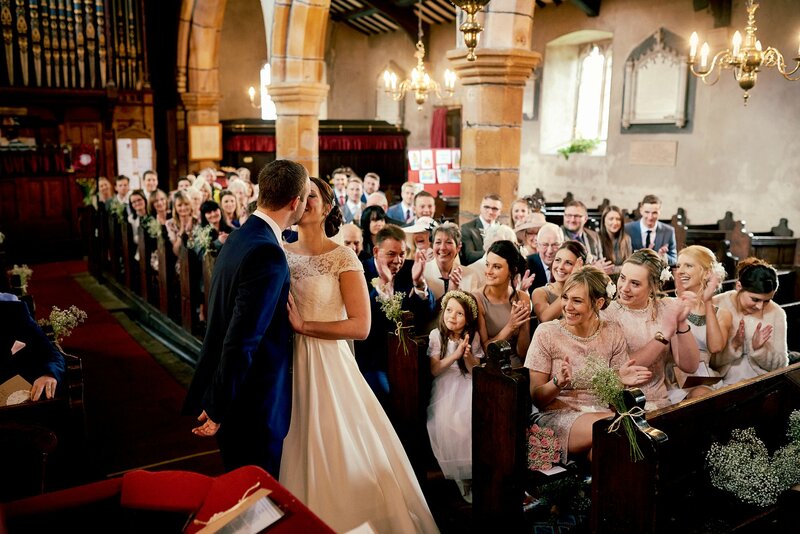 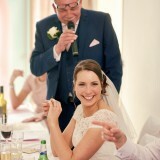 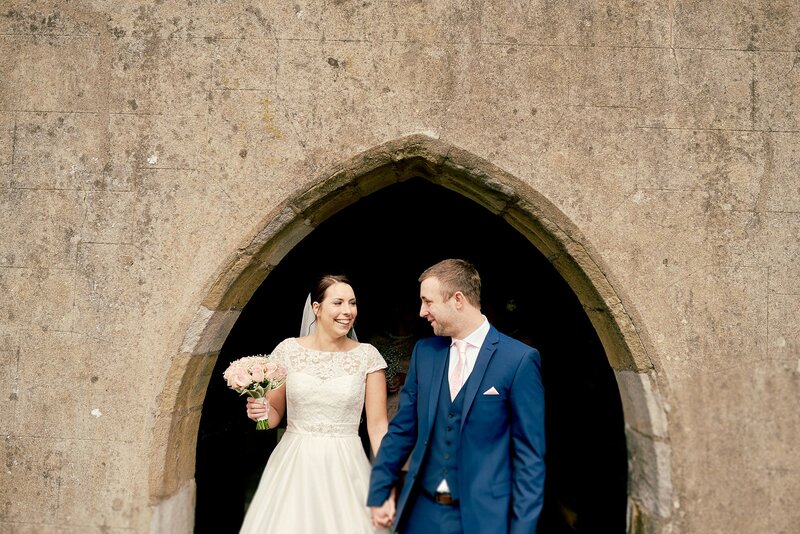 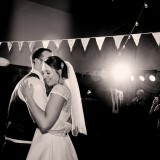 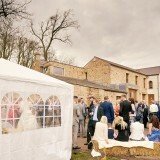 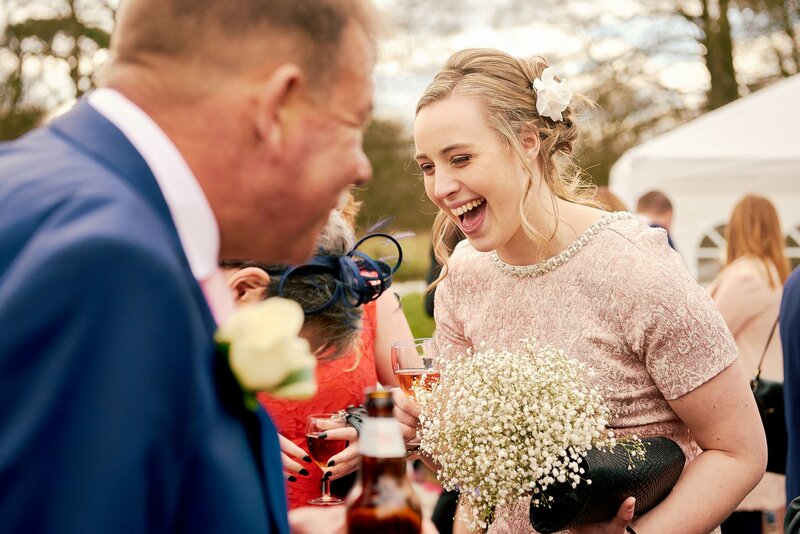 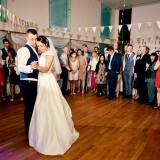 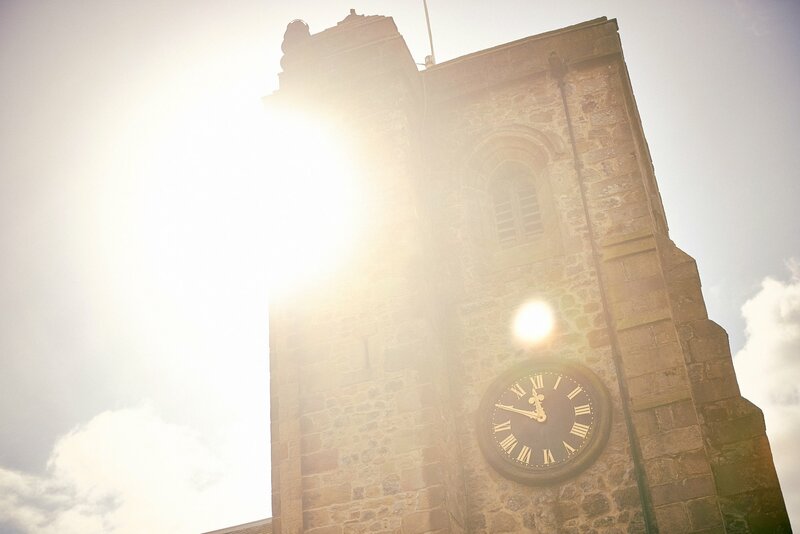 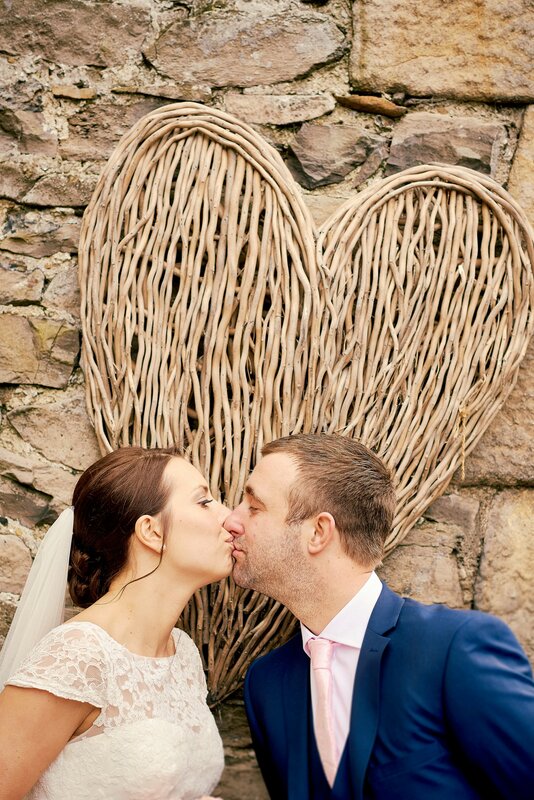 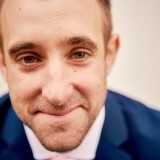 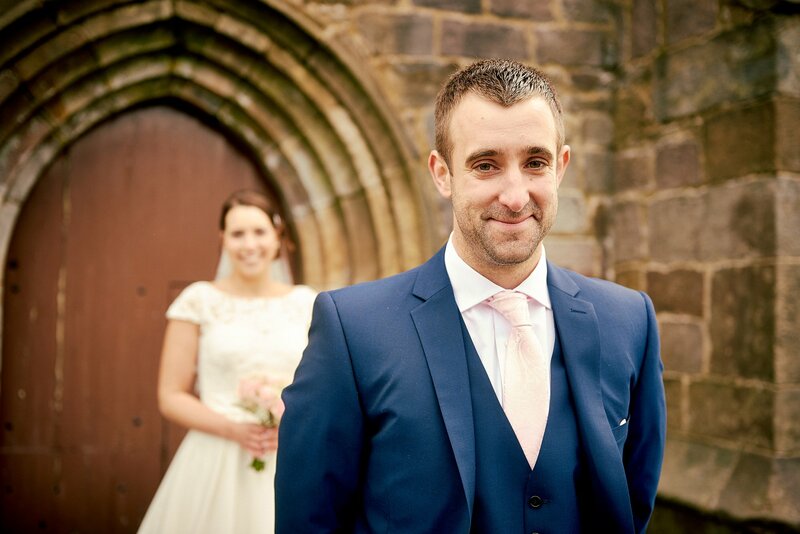 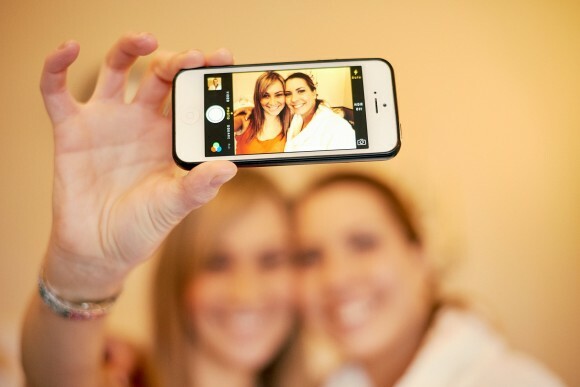 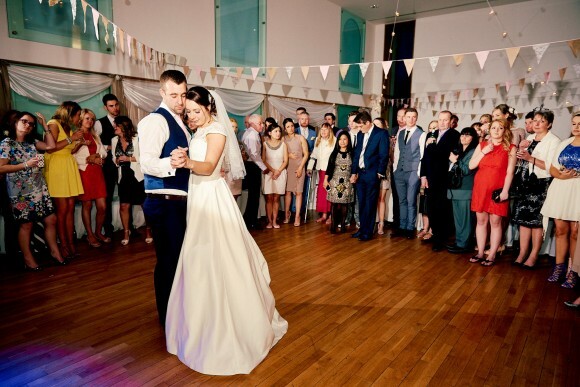 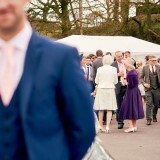 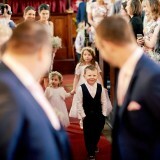 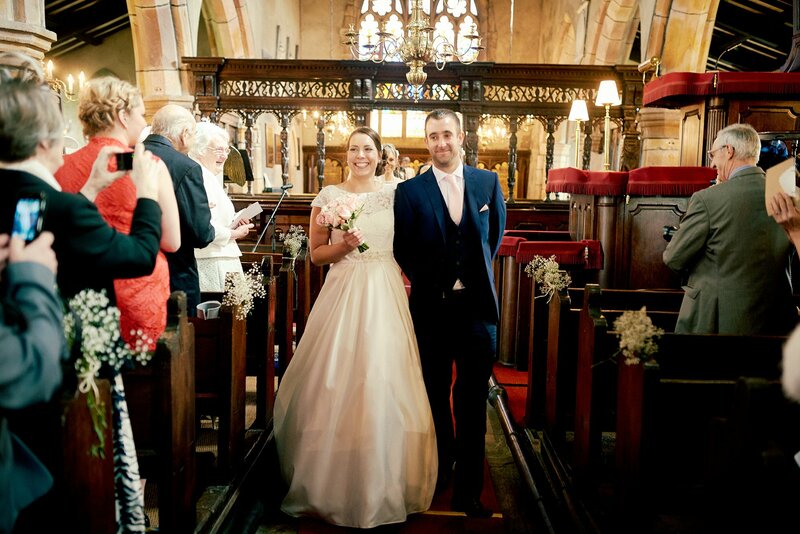 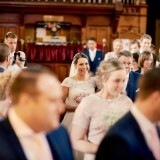 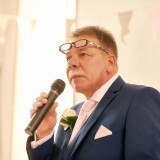 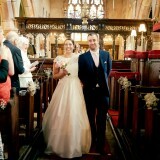 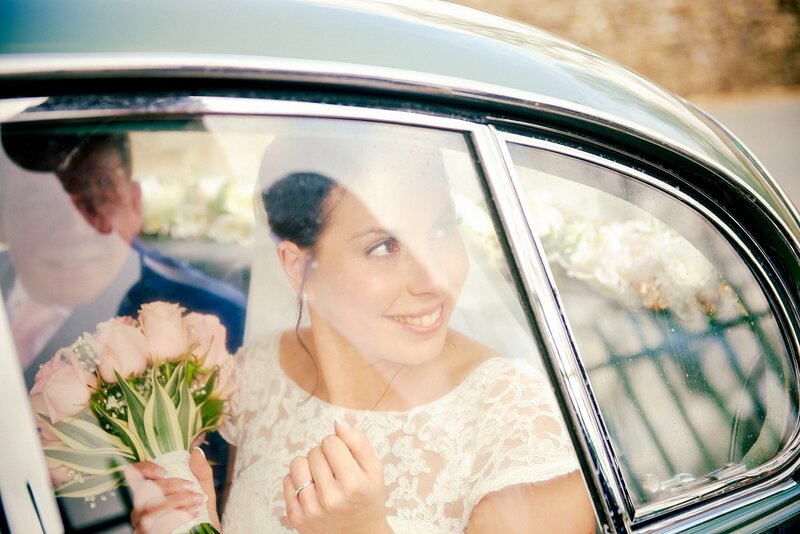 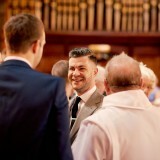 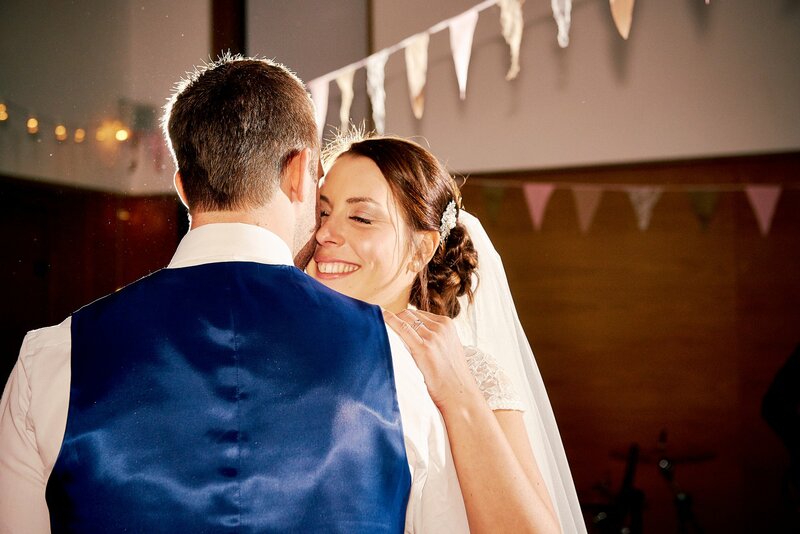 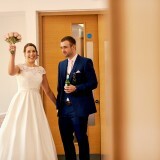 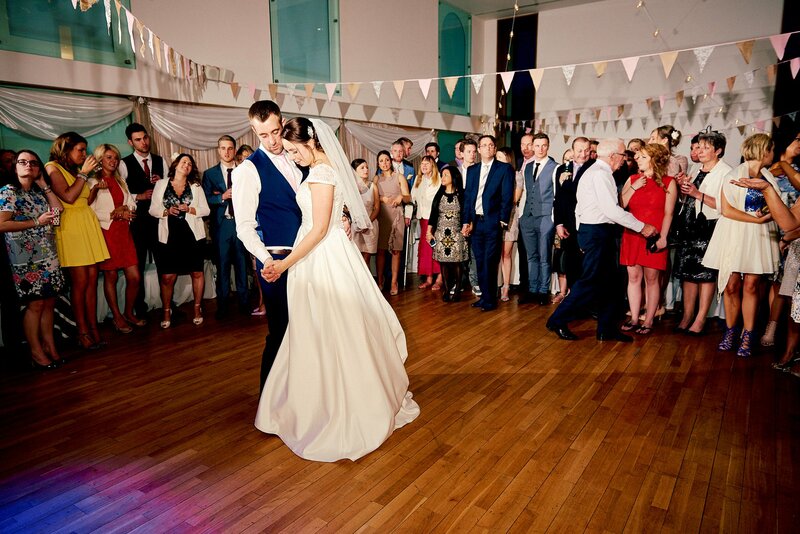 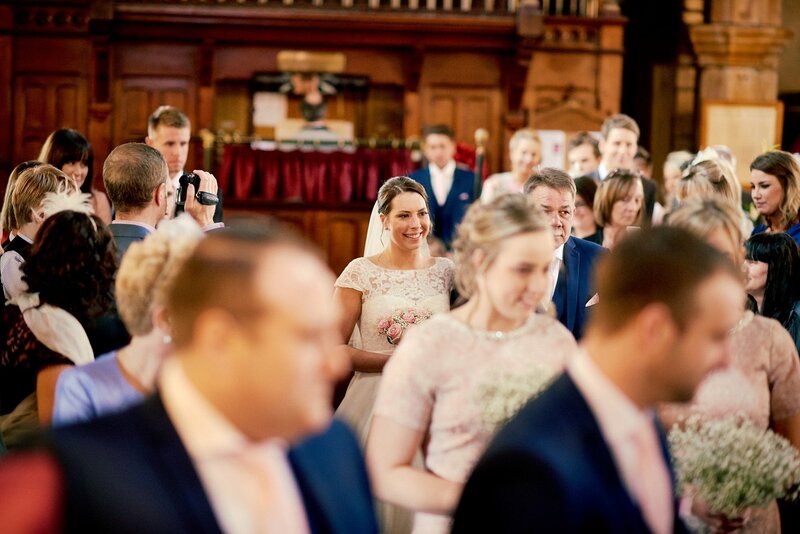 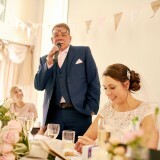 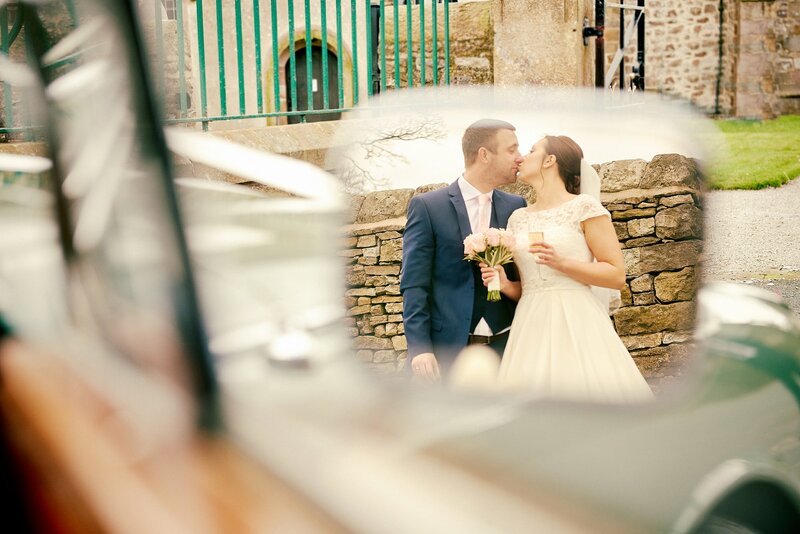 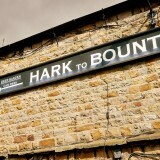 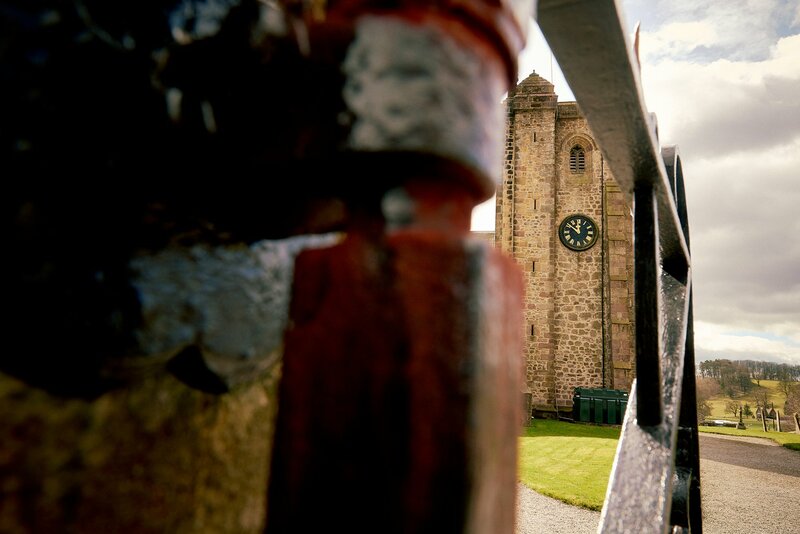 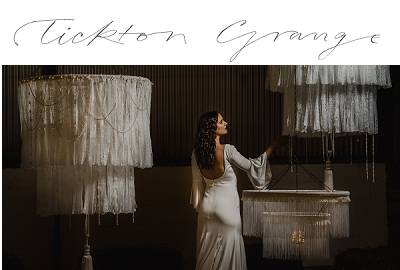 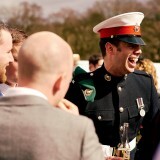 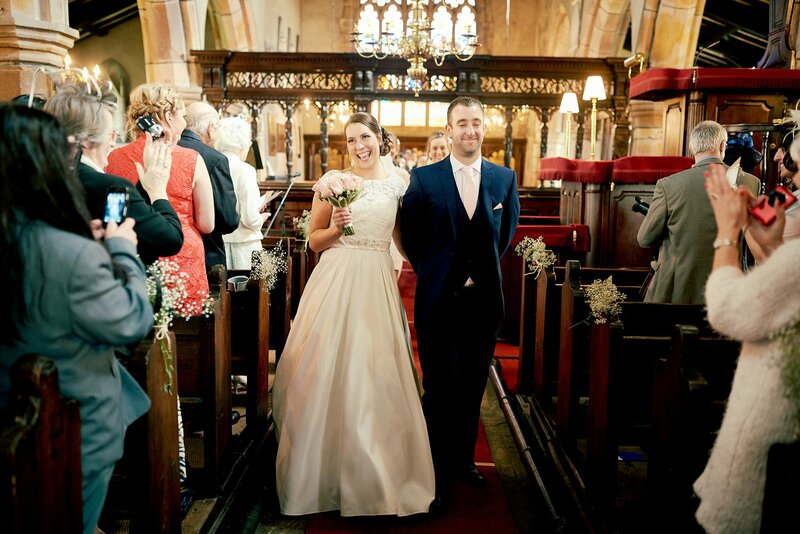 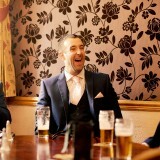 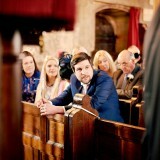 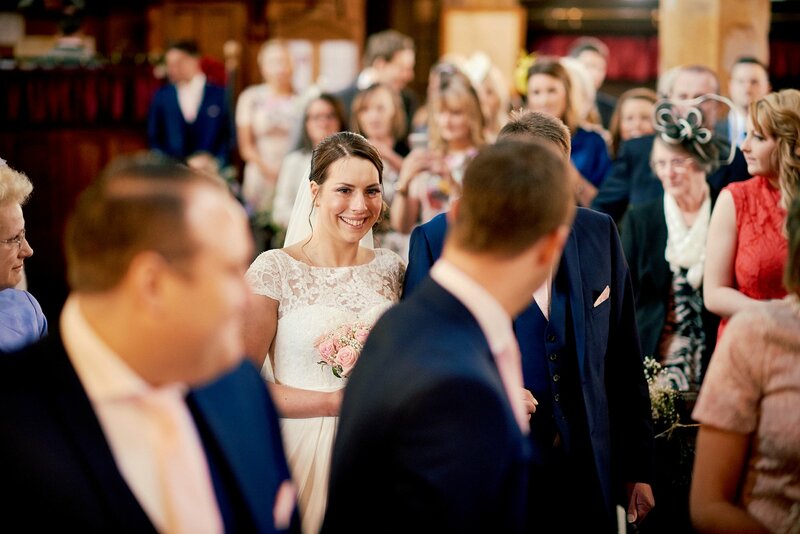 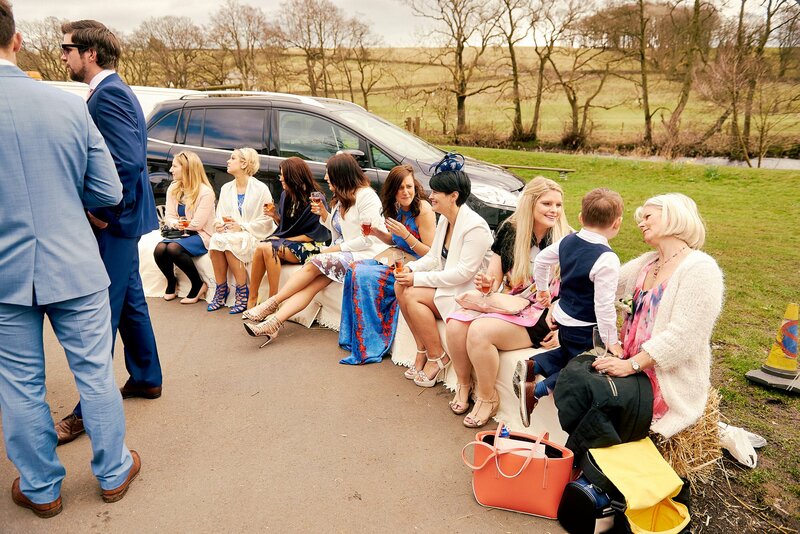 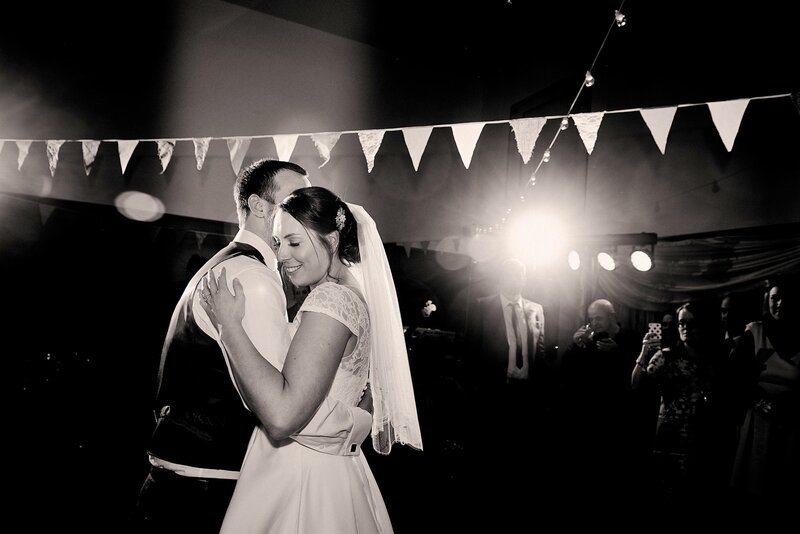 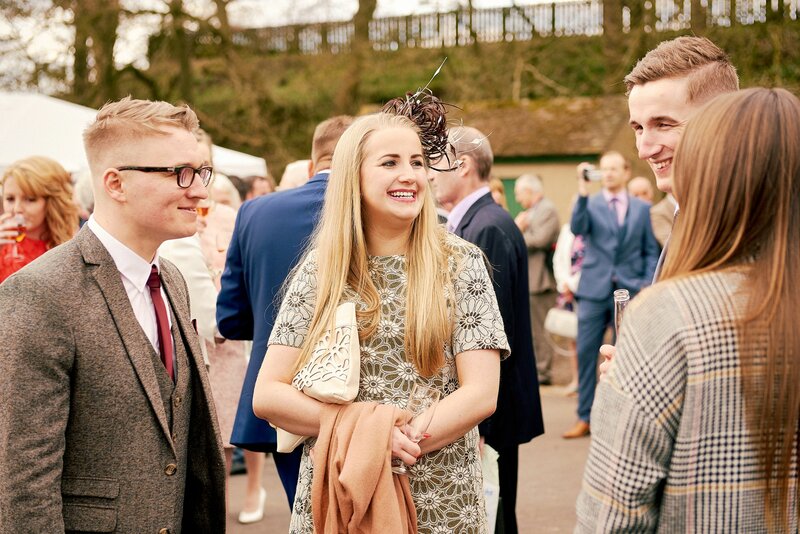 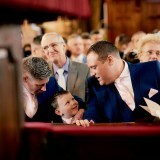 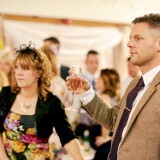 All of the wedding was captured by our fabulous photographer Mick Cookson. 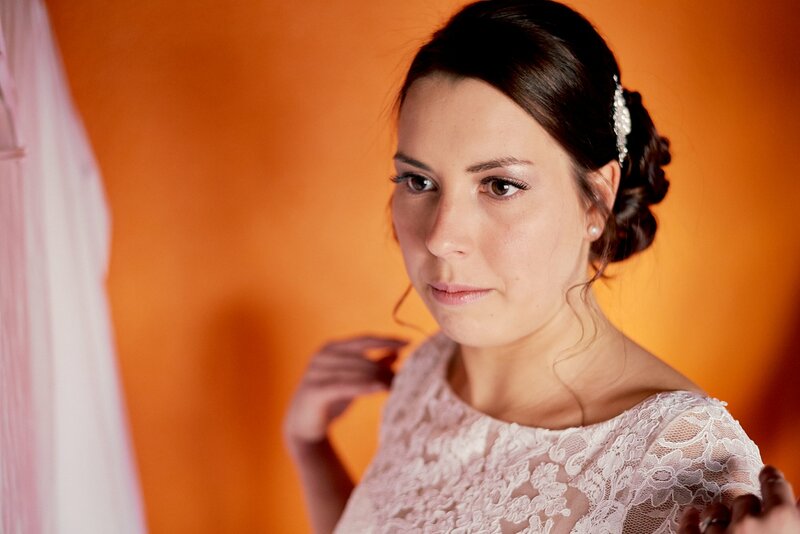 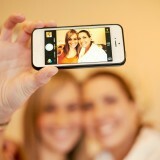 The pictures are so amazing, it is going to be so hard choosing some for our album! 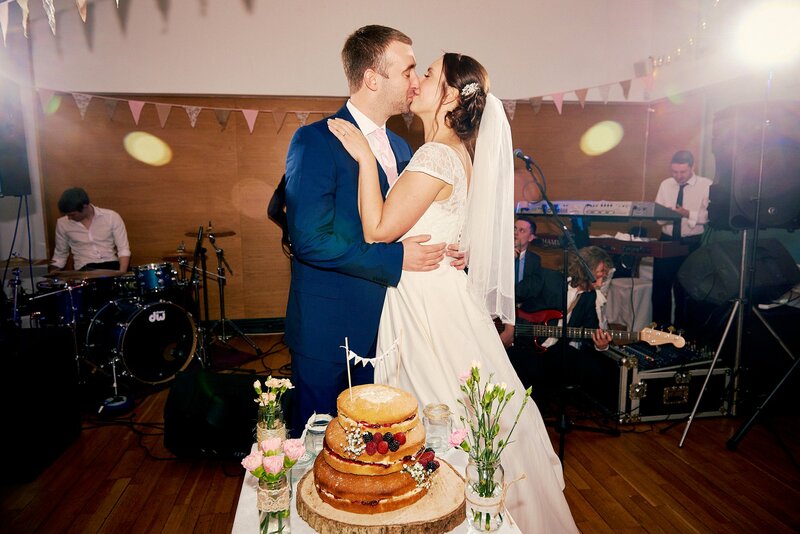 It’s hard to pick a favourite part of the day as we loved all of it, though the ceremony and the meal stand out on our heads. 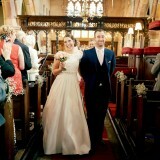 Following the wedding we went on a mini moon for a couple of days to the Brecon Beacons in Wales. 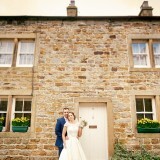 We will be jetting off to America in August for 18 nights for our main honeymoon. 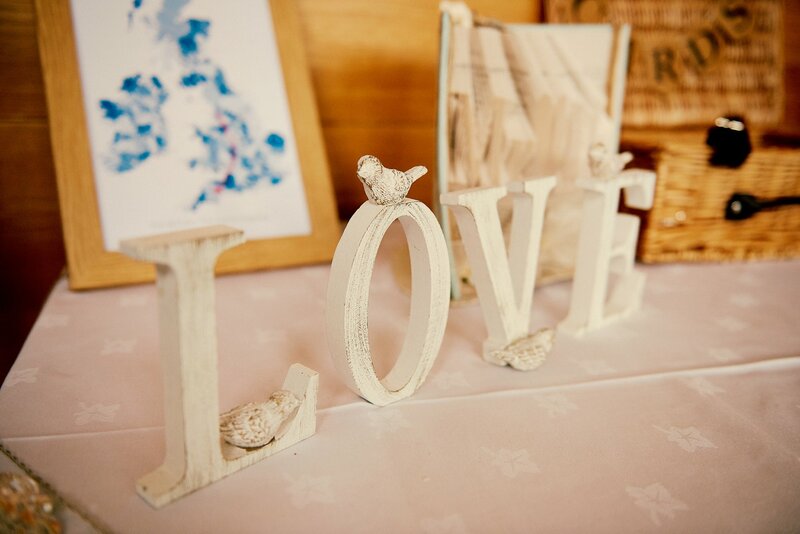 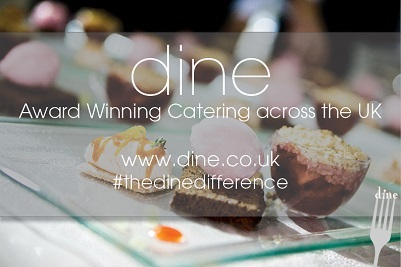 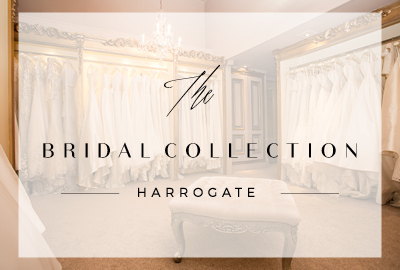 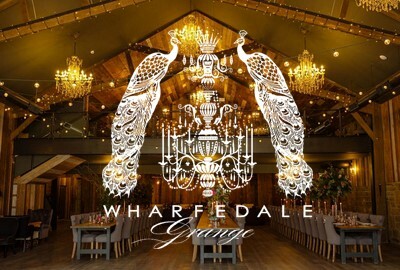 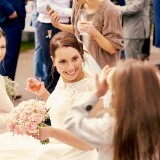 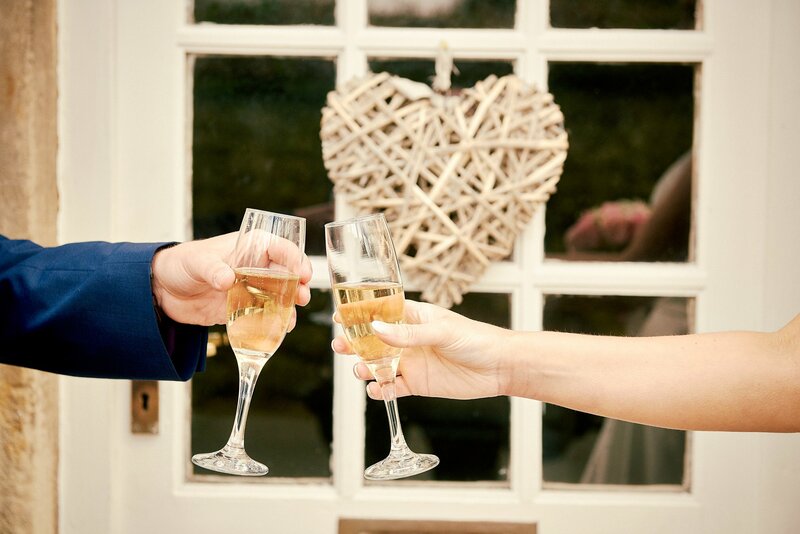 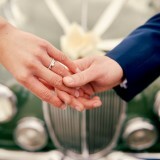 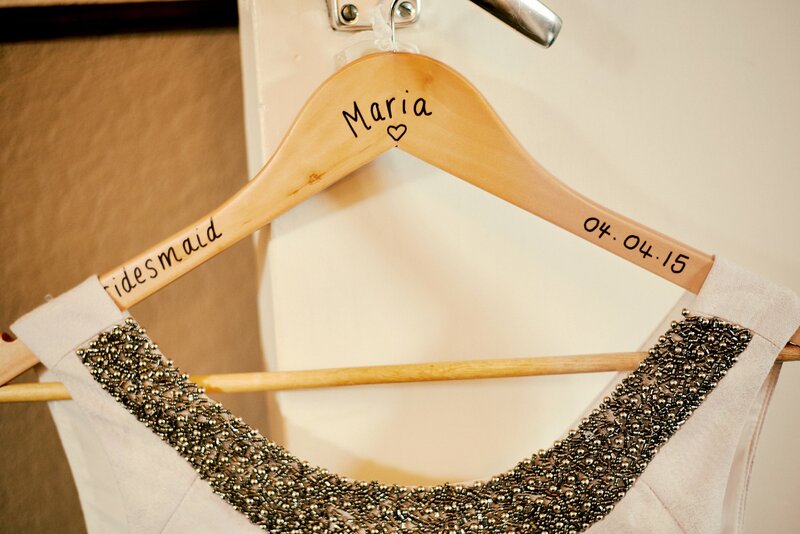 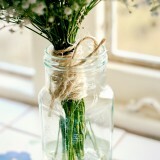 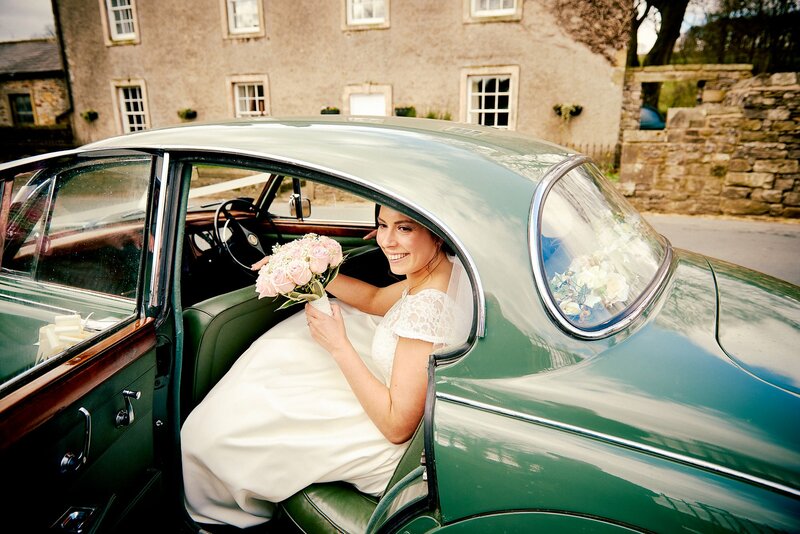 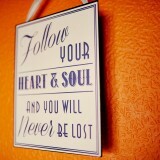 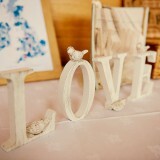 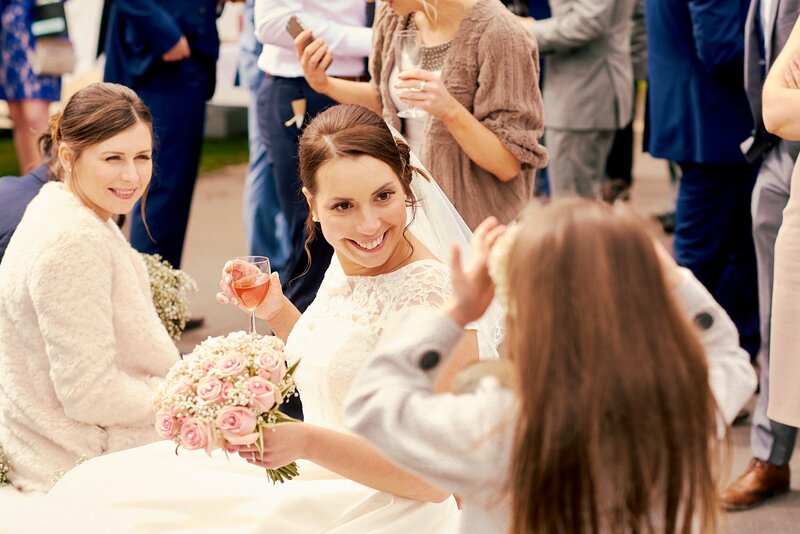 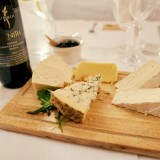 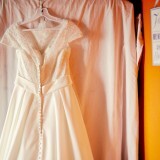 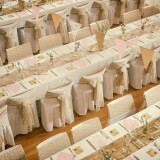 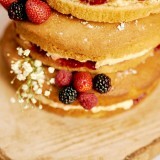 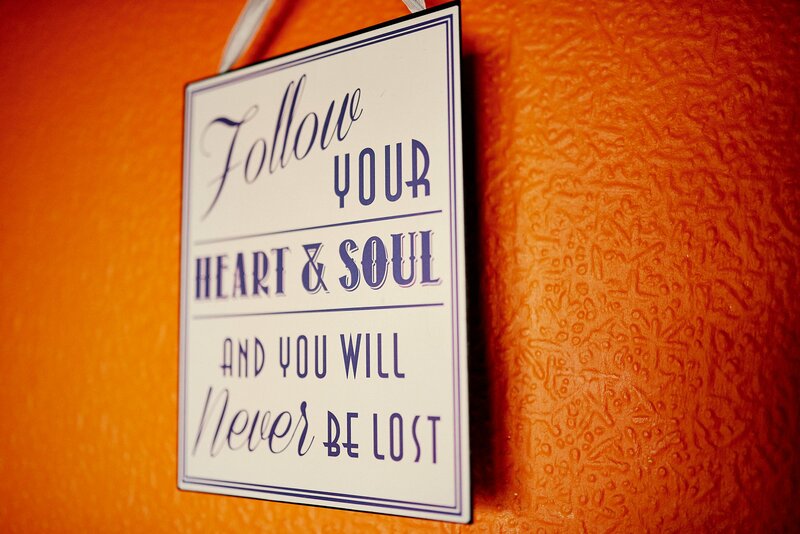 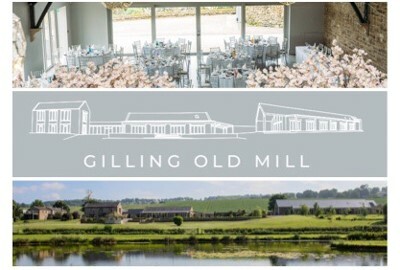 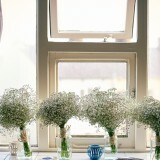 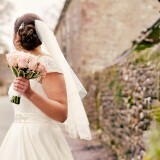 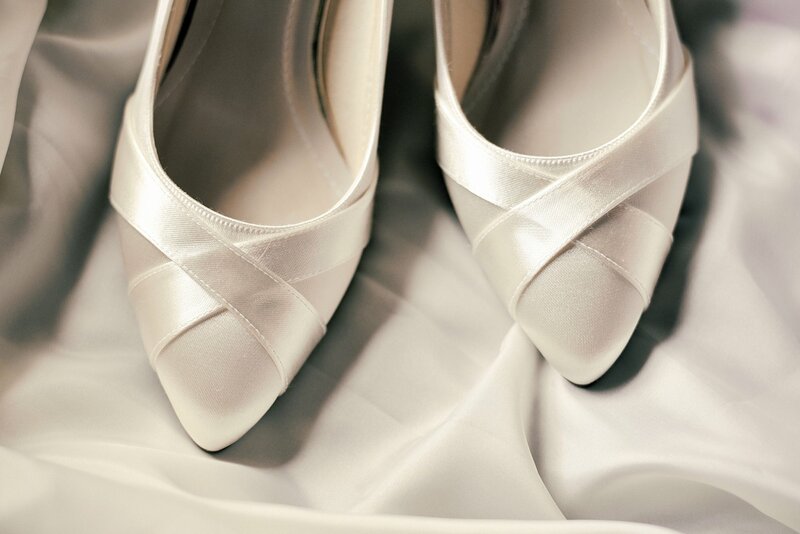 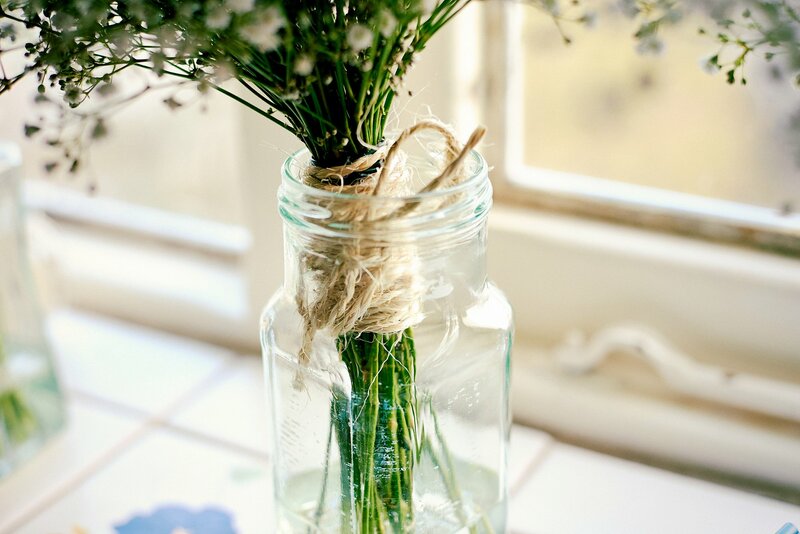 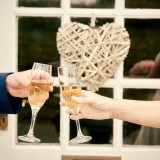 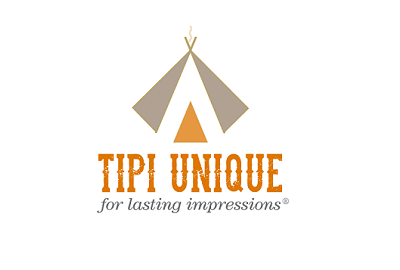 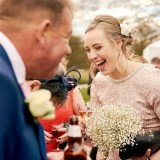 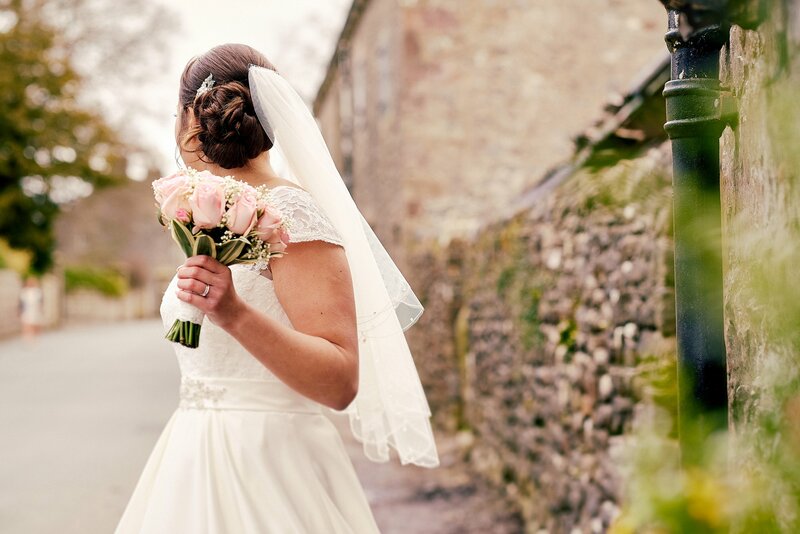 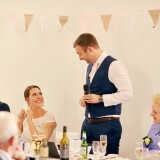 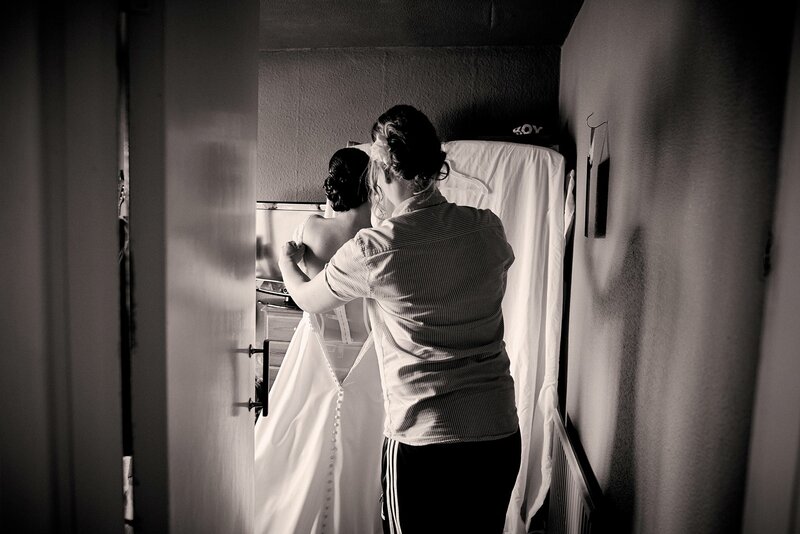 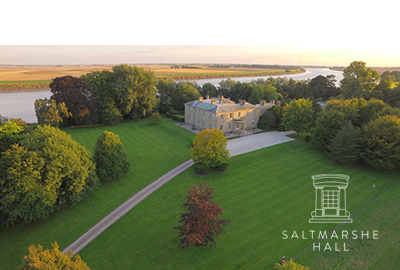 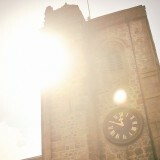 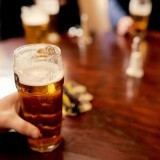 My top tip to other Brides Up North would be to try and get everything organised a few days before then you can relax. 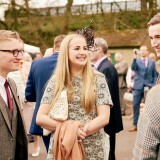 Unfortunately, I ended up rushing around on the last day!